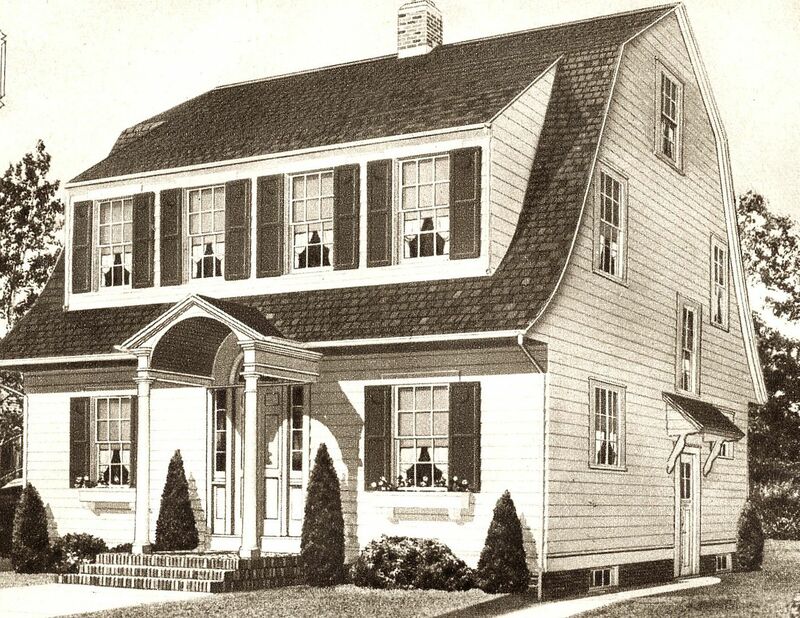 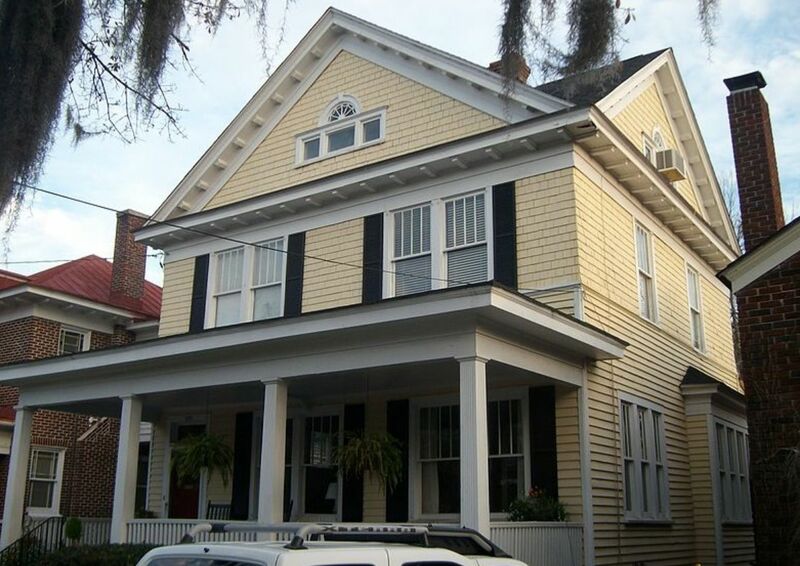 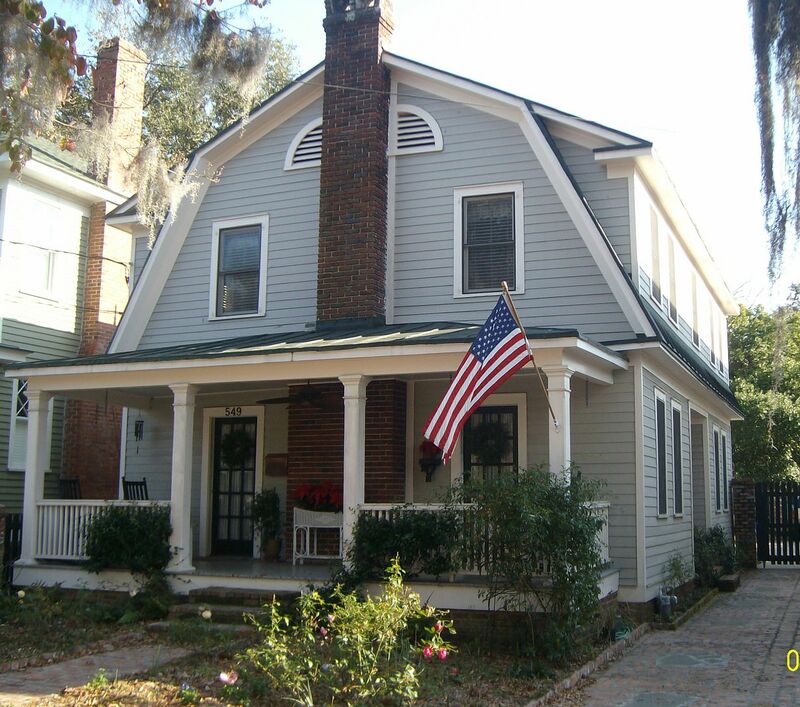 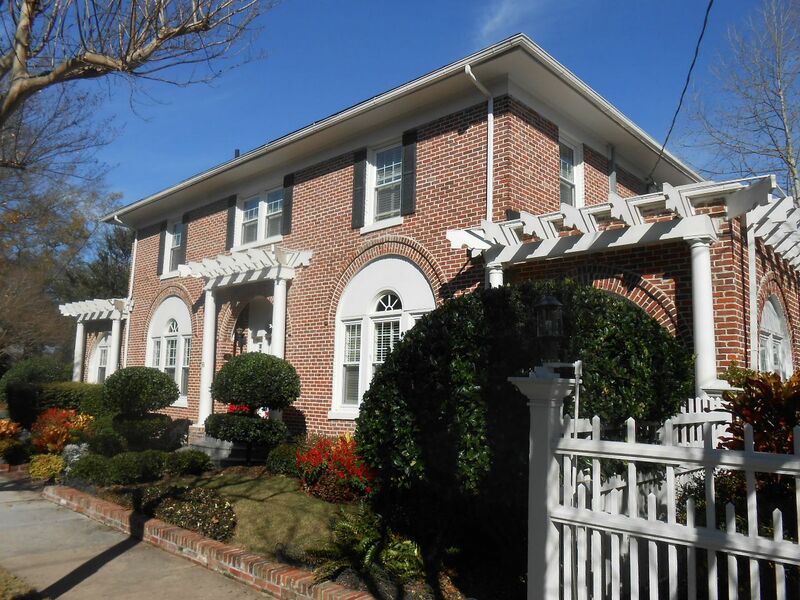 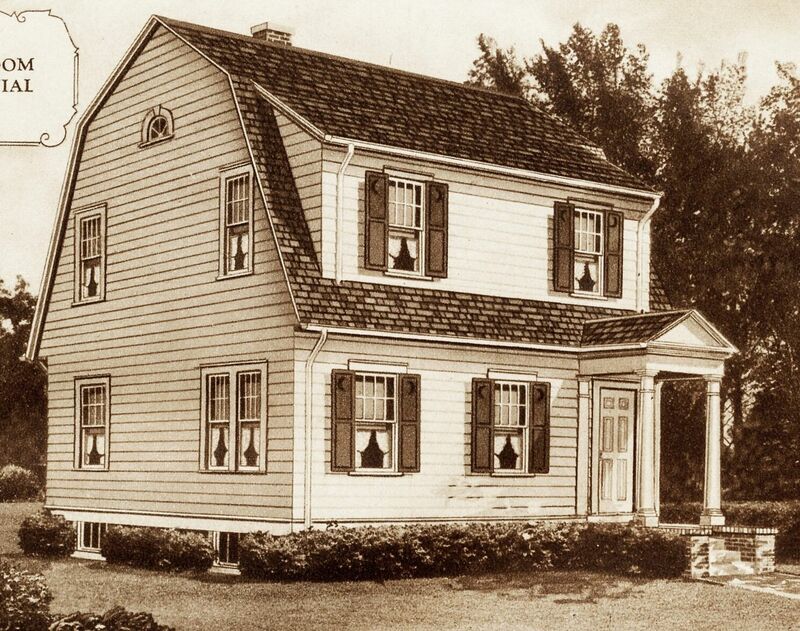 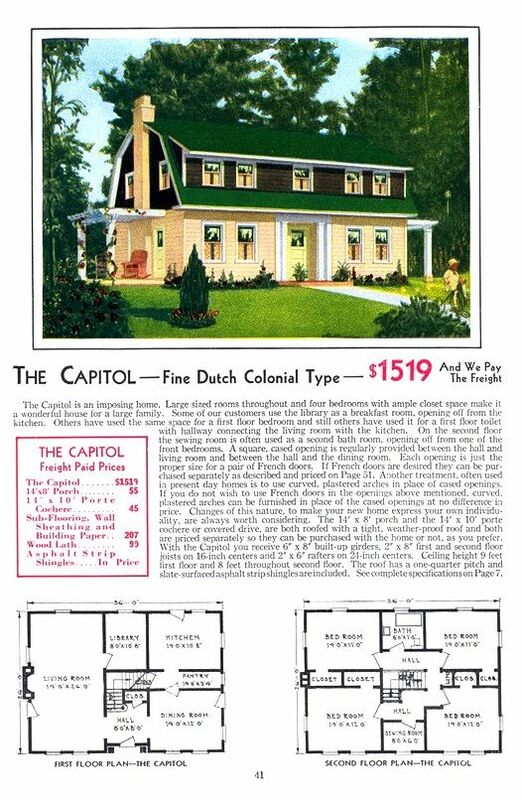 The Dutch Colonial has always been a favorite of mine. 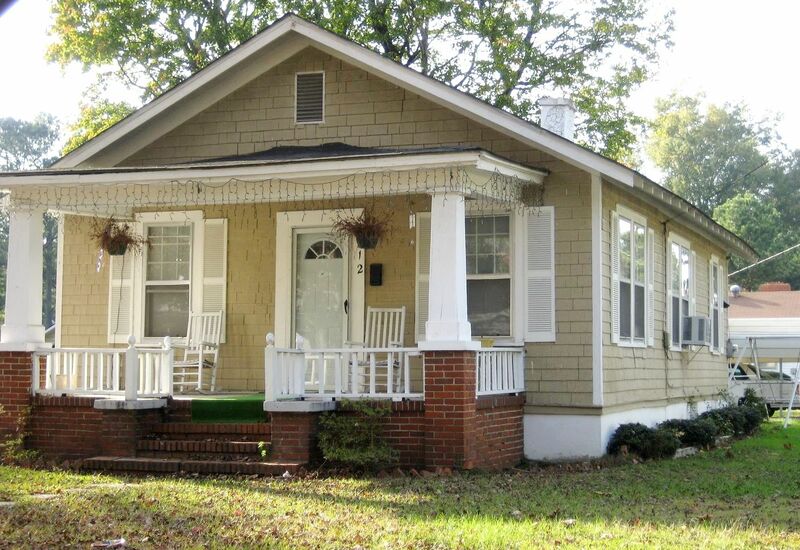 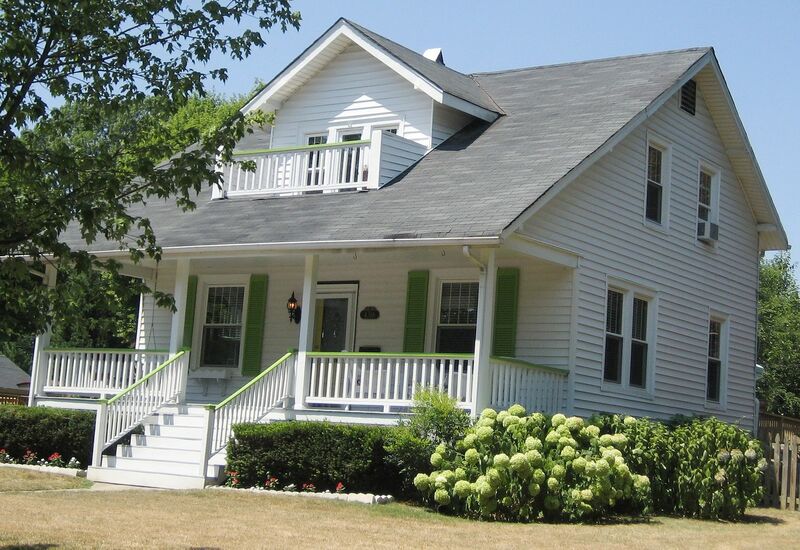 I’m not sure I can easily define why I love this house, but one of the reasons is the little extras - cut-out shutters, gambrel roof, plenty of windows, and best of all, those cute little benches by the front door. 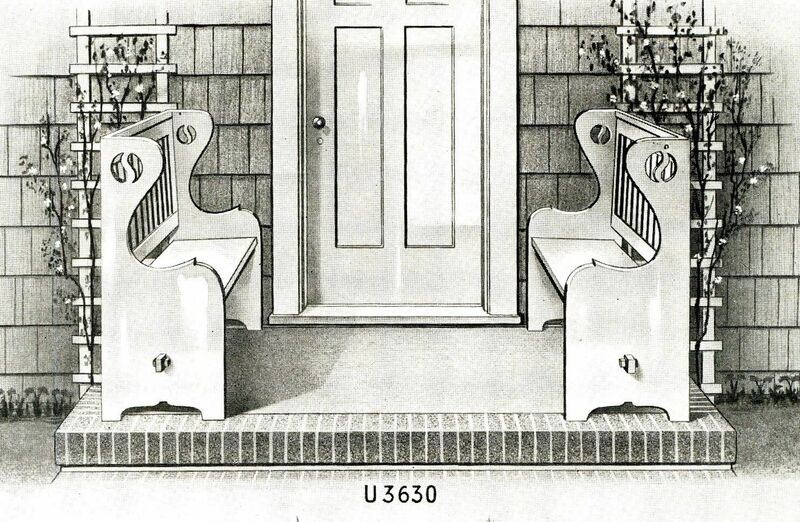 And until last week, I didn’t realize those cute little bench have a name. 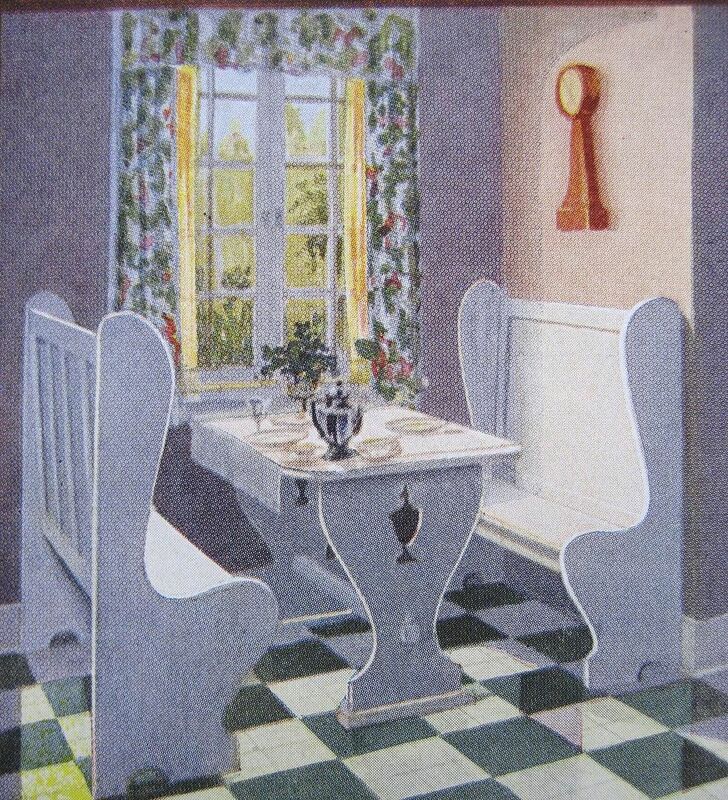 To read about breakfast nooks (first cousin to the Hospitality Seats), click here. 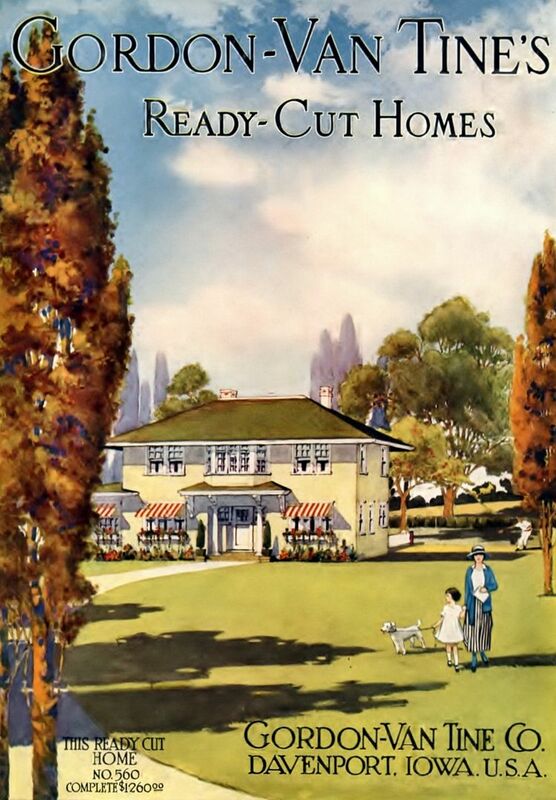 Many thanks to Bill Inge for sharing his books with me! 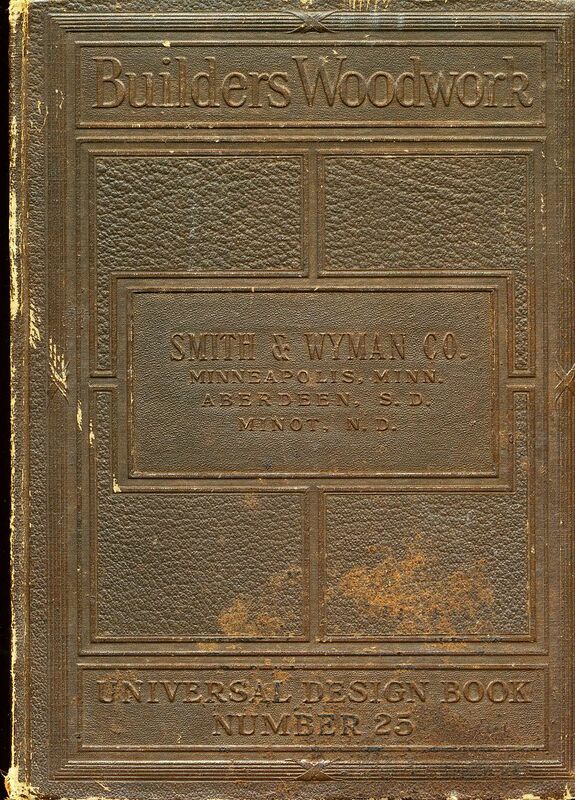 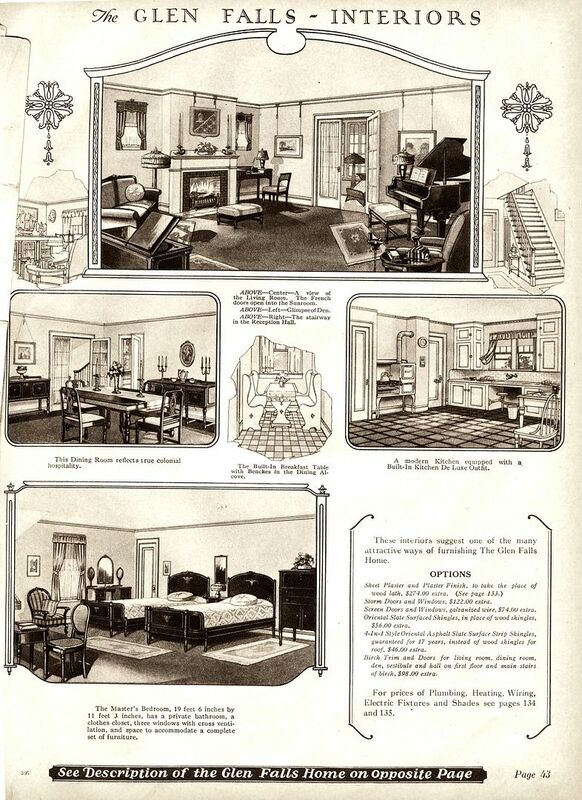 It was within the pages of this 1927 book that I found "Hospitality Seats." 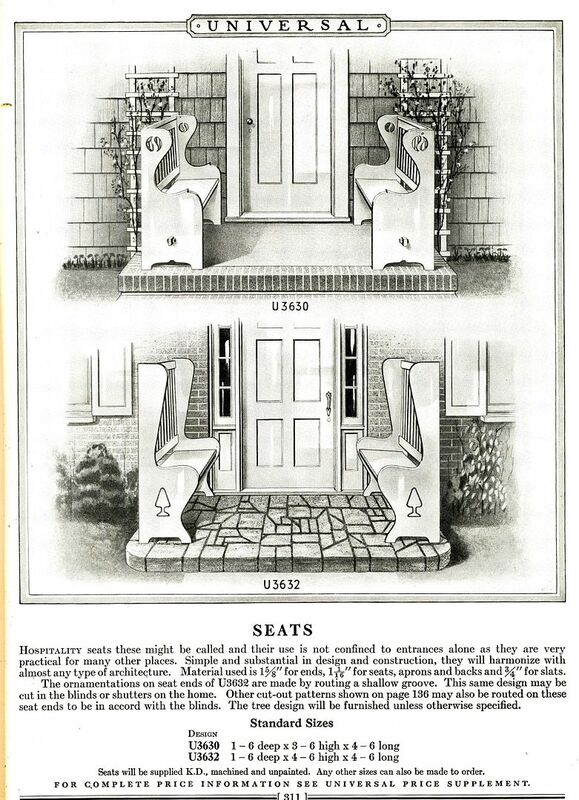 On page 311 of "Builders' Woodwork," there were two versions of the "Hospitality Seats" offered! 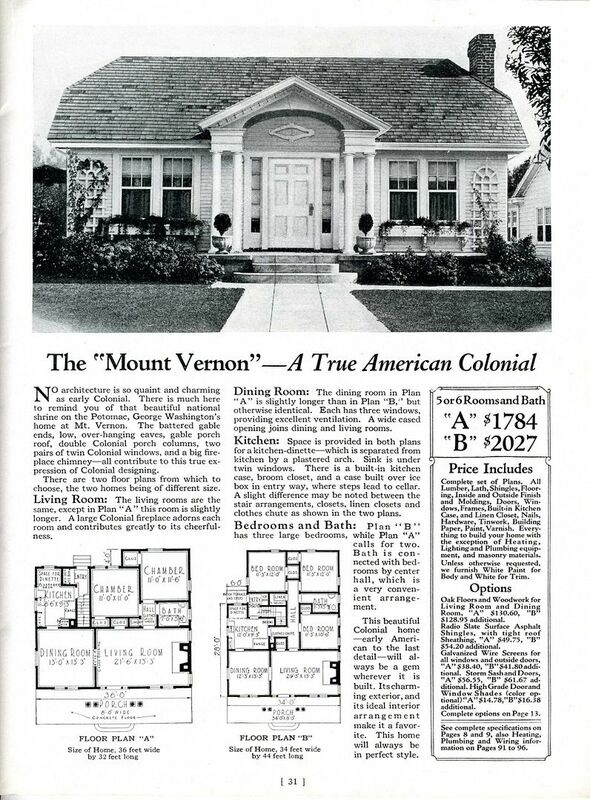 The good news is, they will "harmonize with almost any type of architecture." 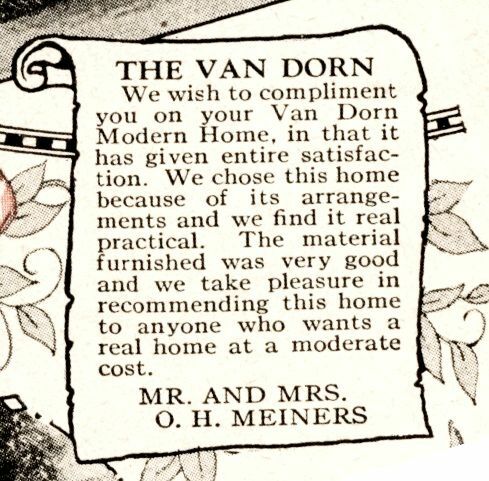 They were offered with many different cut-outs, too. 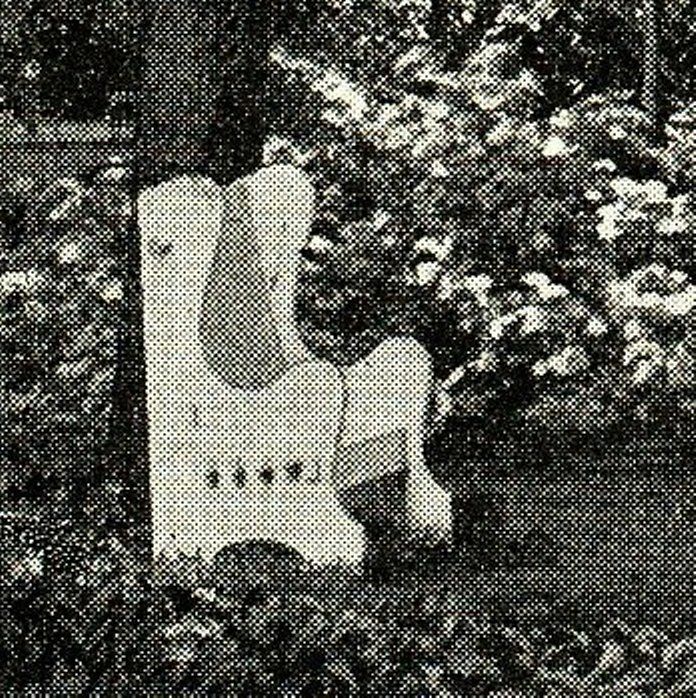 Close-up of the hospitality benches with a tree cut-out on its base. 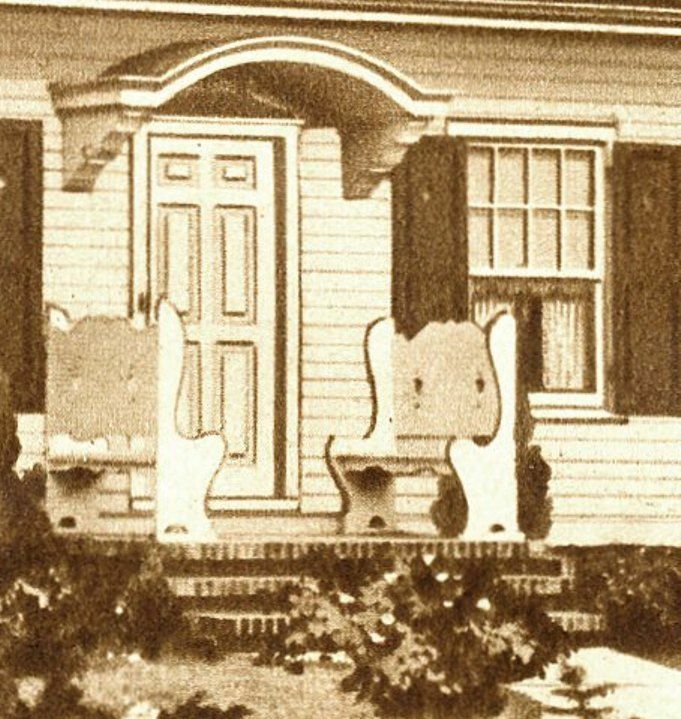 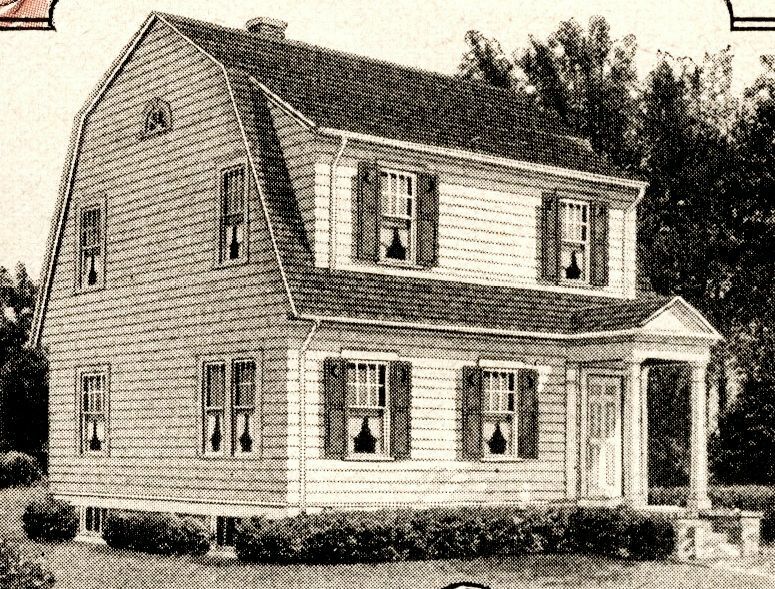 The Sears Puritan came with two "Hospitality Seats" on the front porch (1928 catalog). 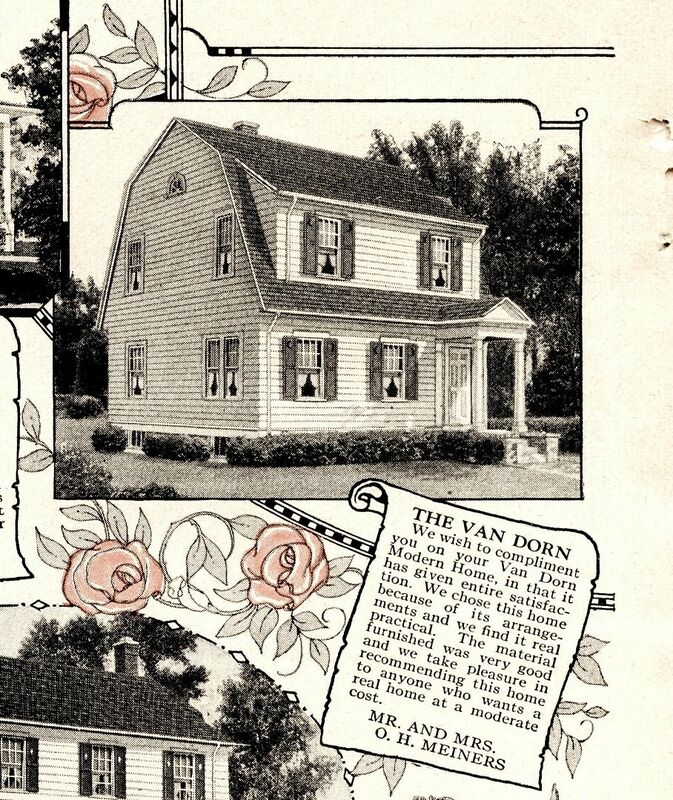 Apparently, the Glen Falls (Sears Home) offers 50% less hospitality than the Puritan. 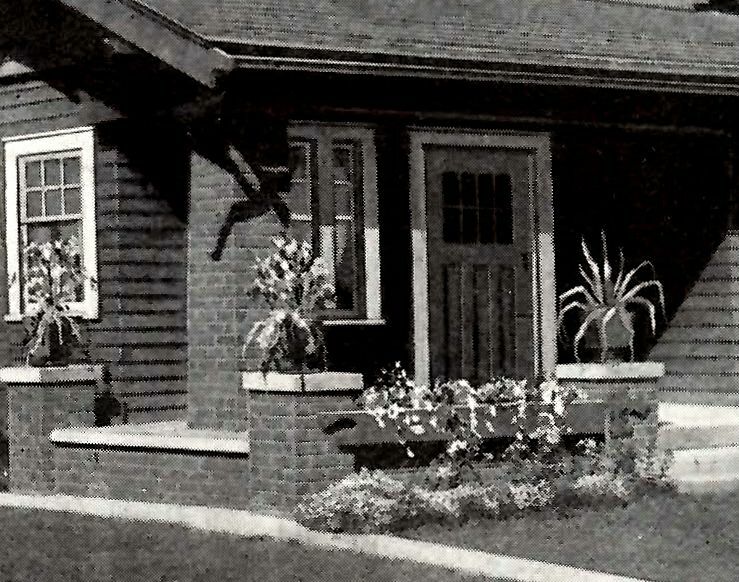 The one bench looks a little lonely out there (1928 Sears Modern Homes catalog). 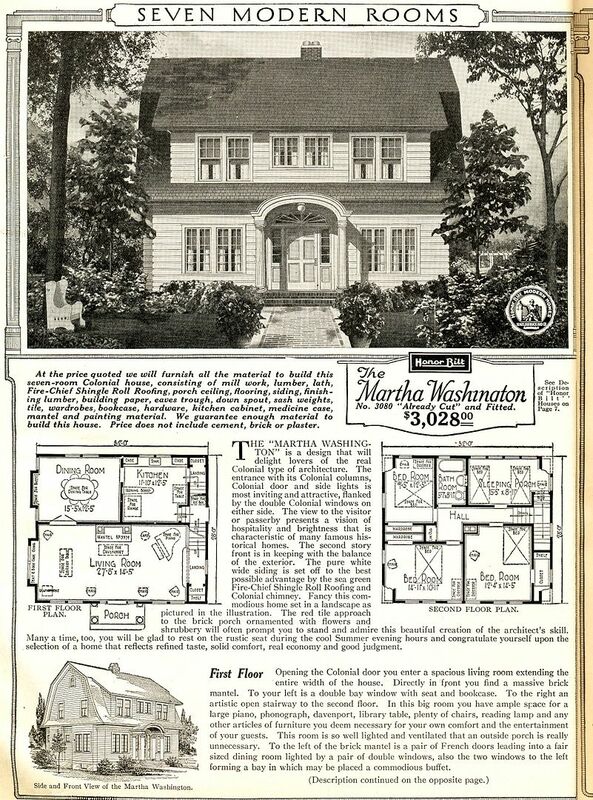 Apparently, there's even less hospitality with the Sears "Martha Washington." 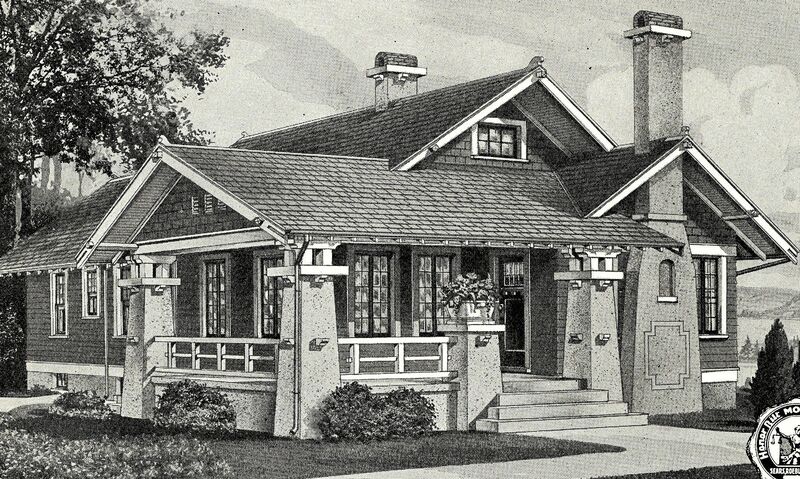 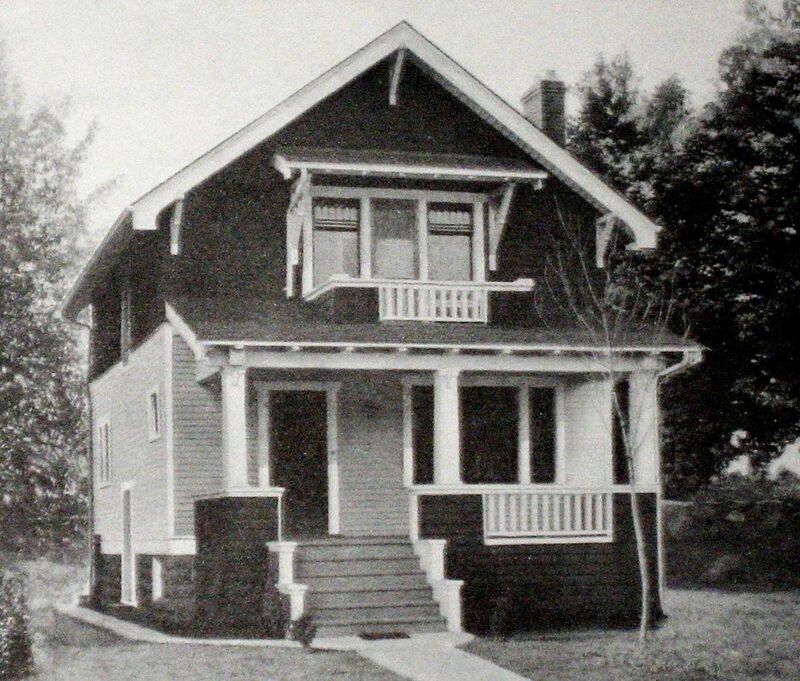 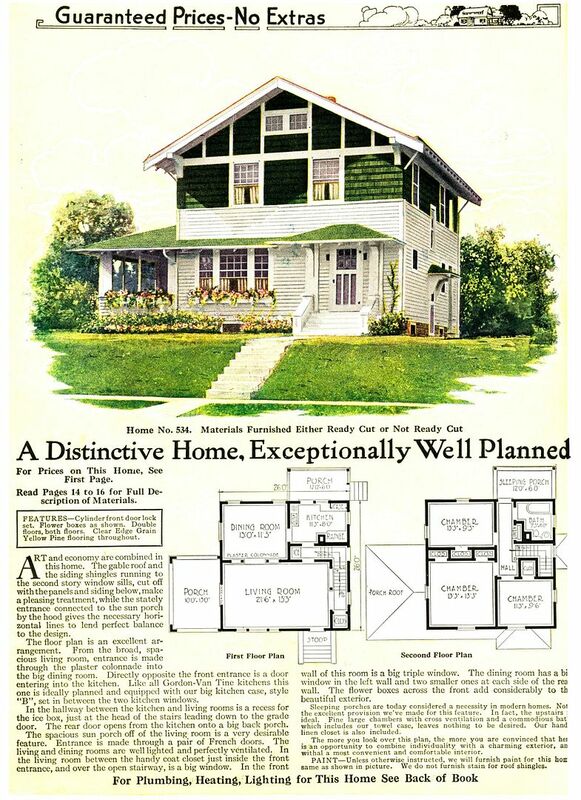 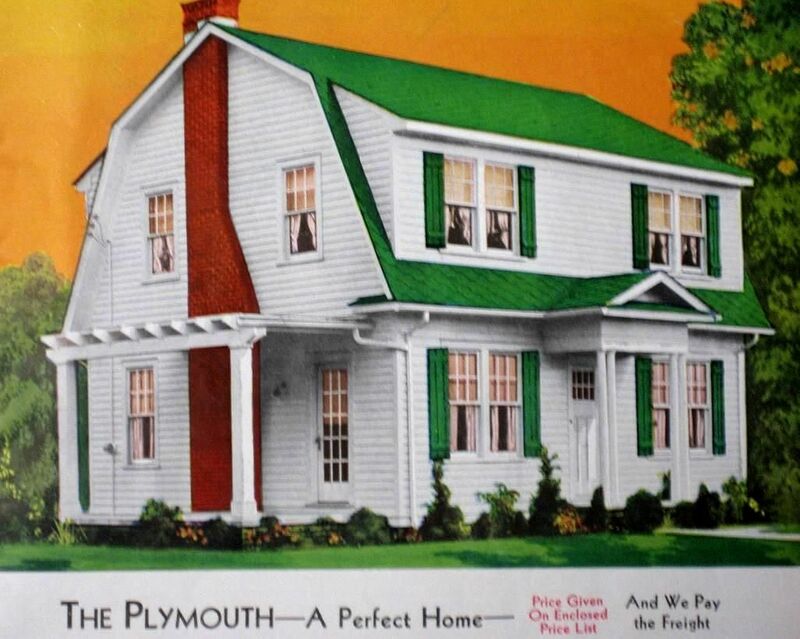 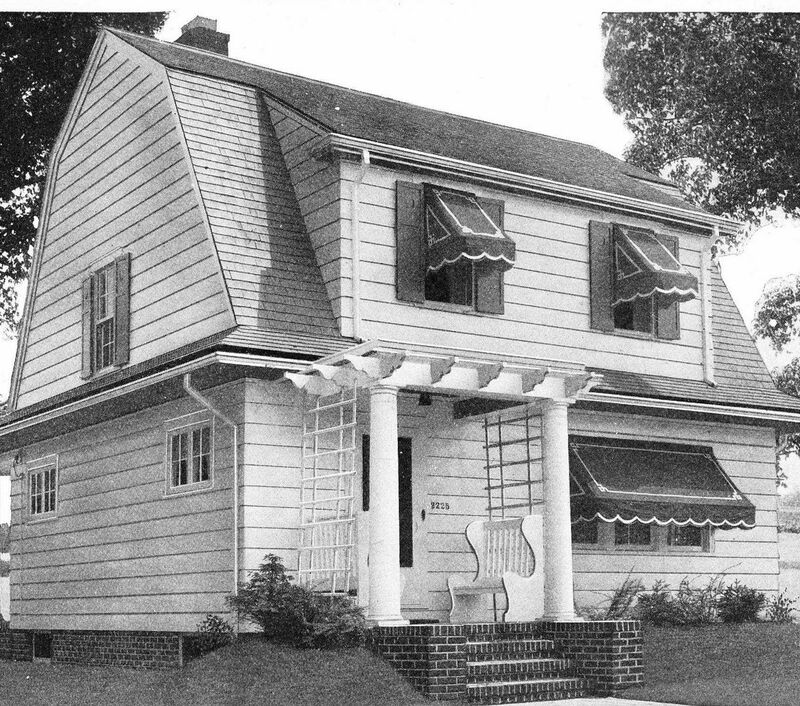 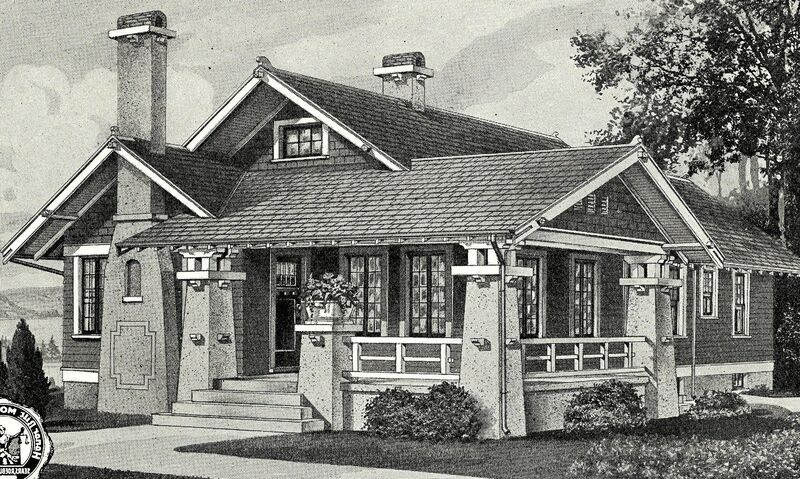 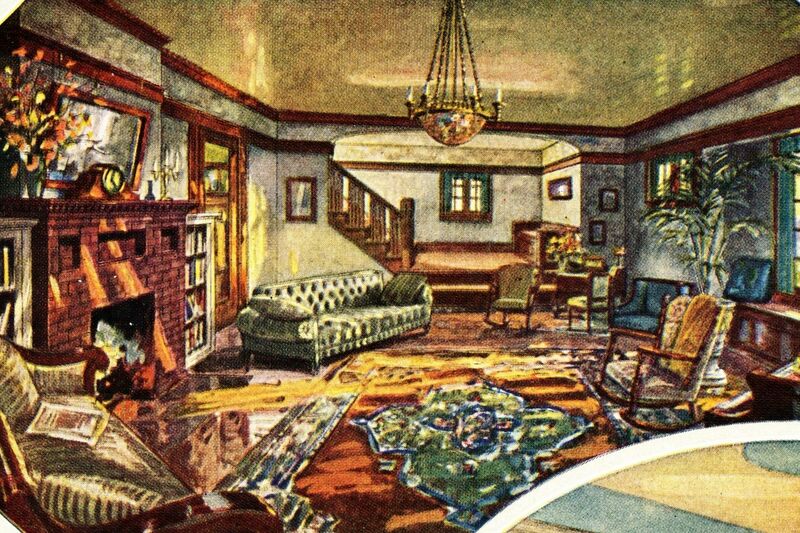 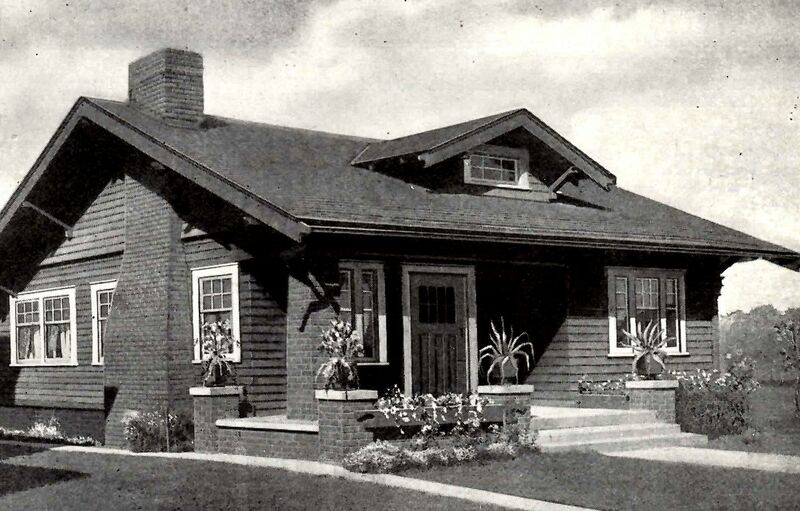 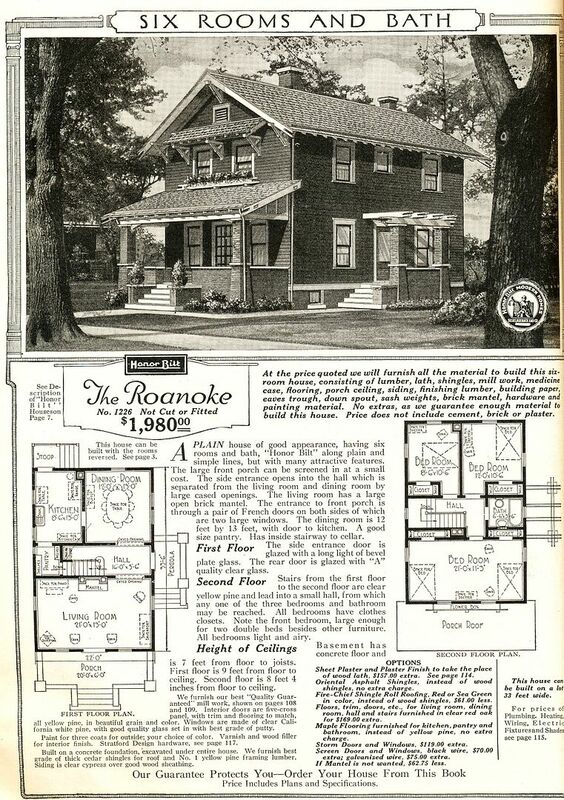 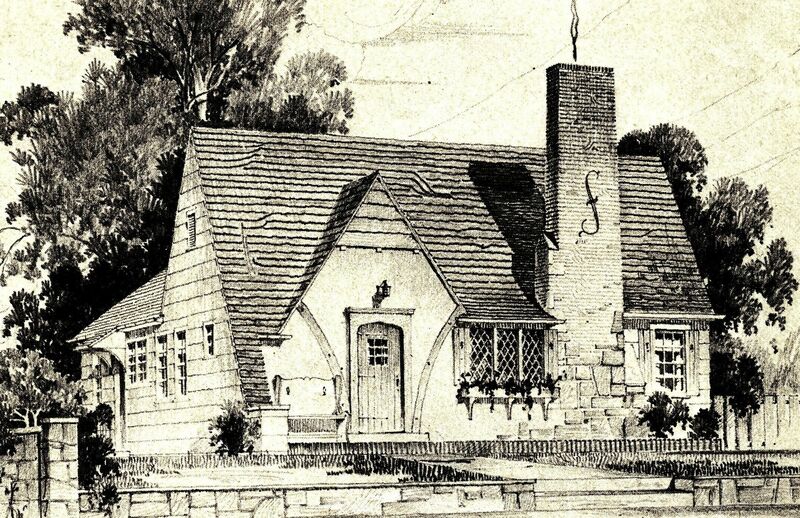 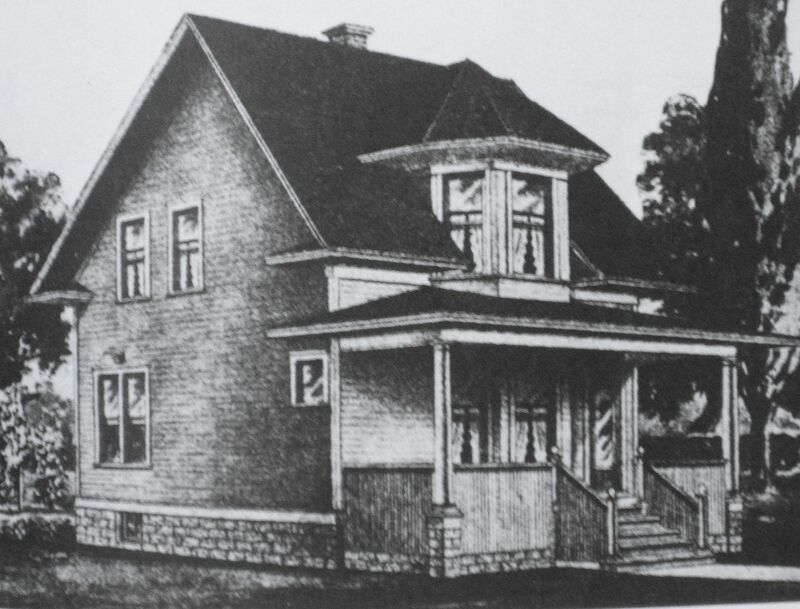 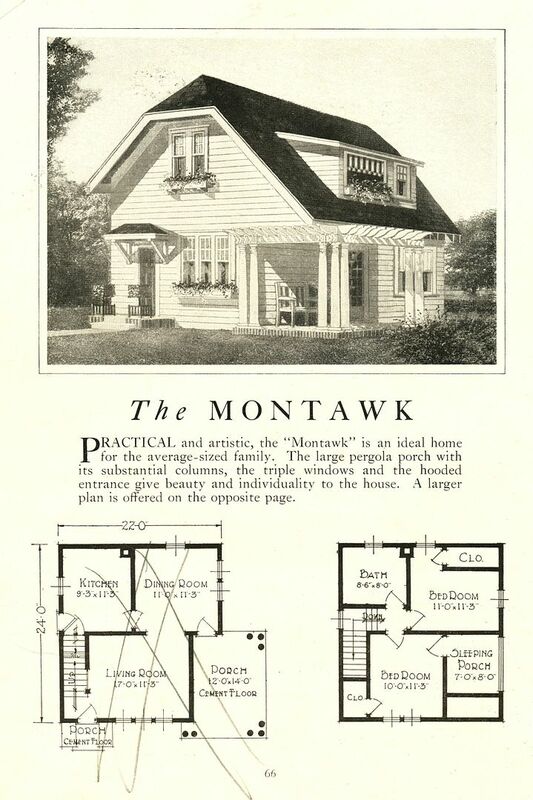 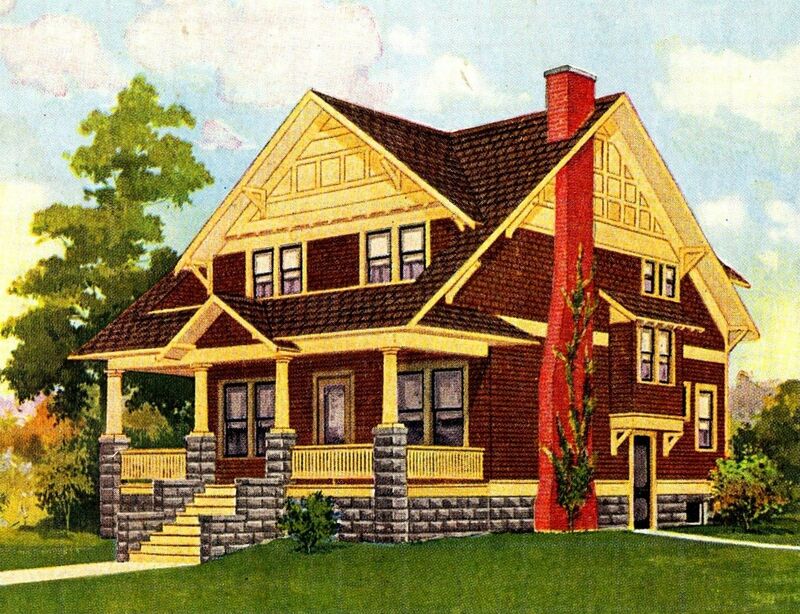 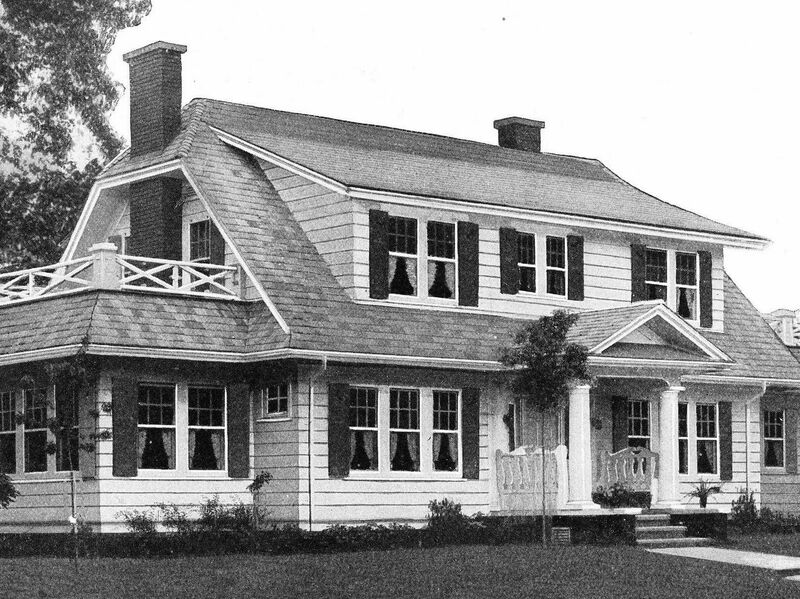 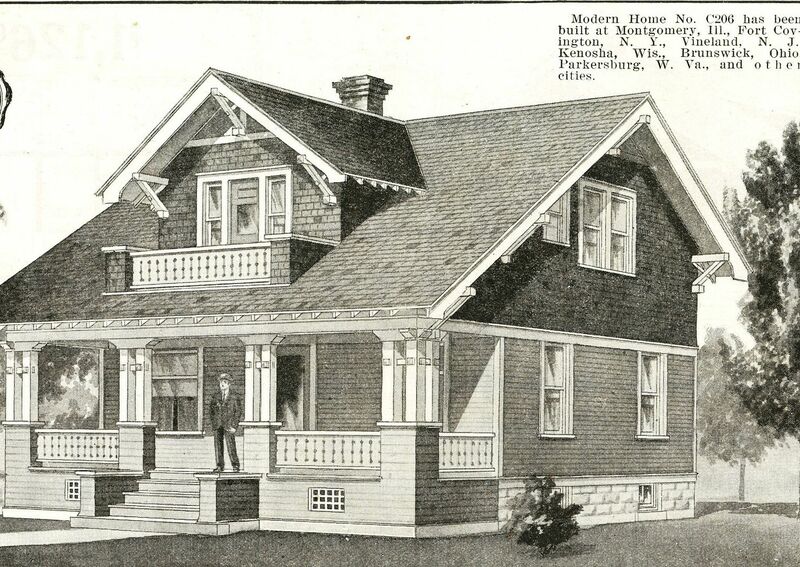 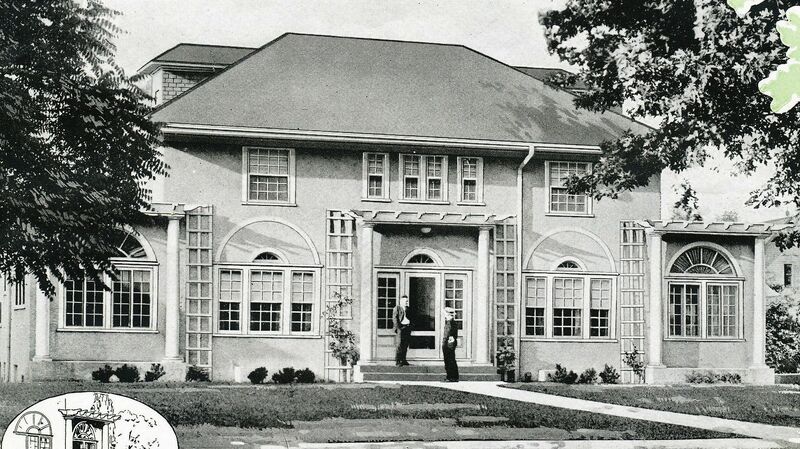 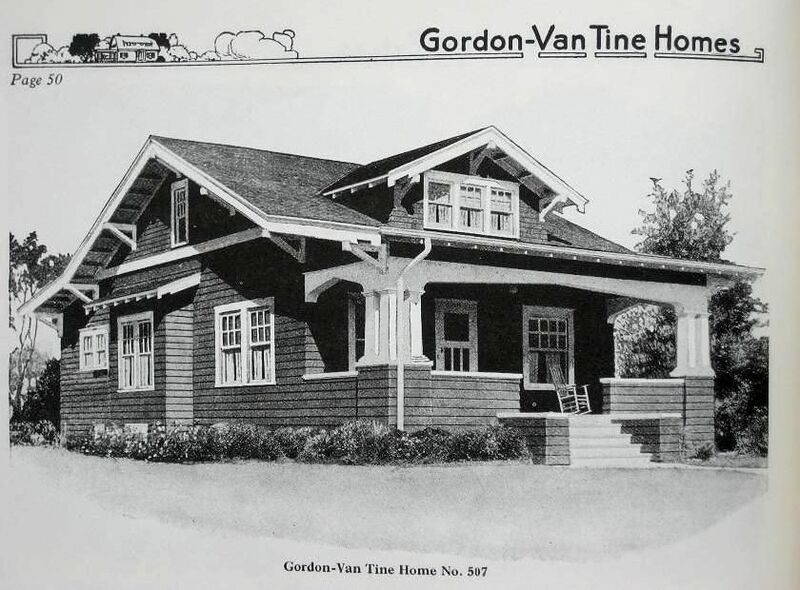 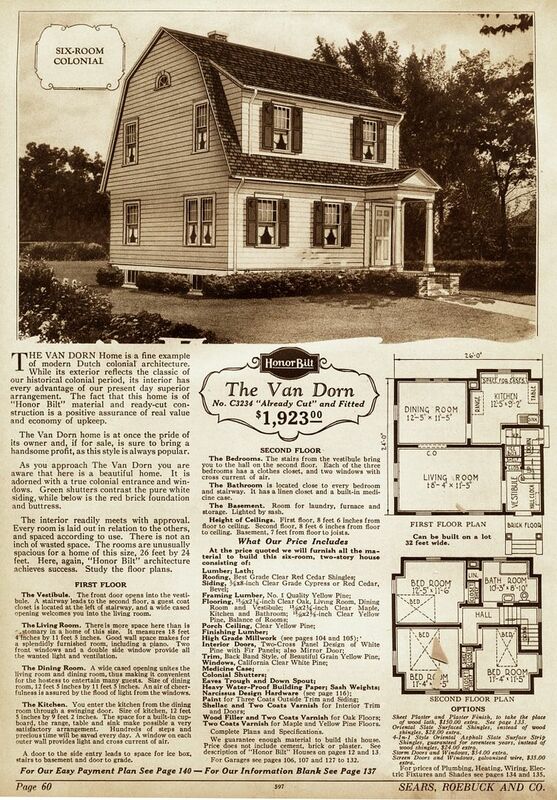 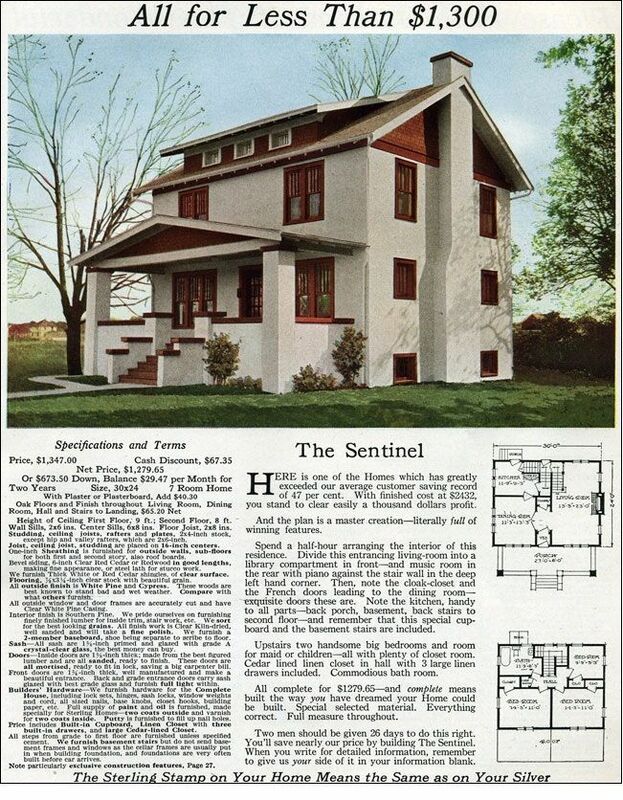 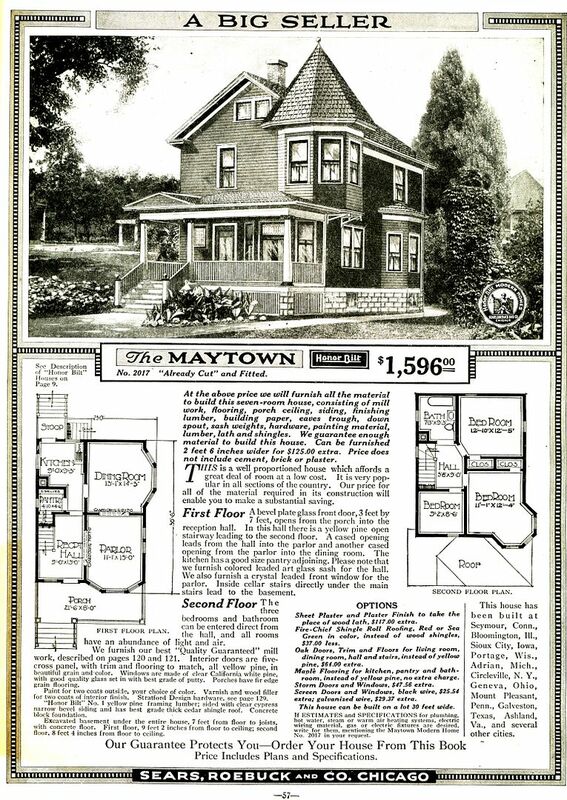 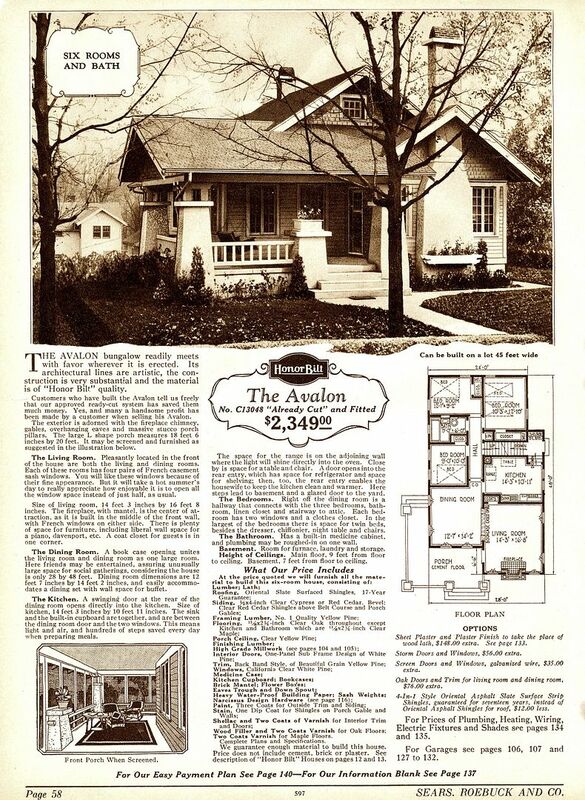 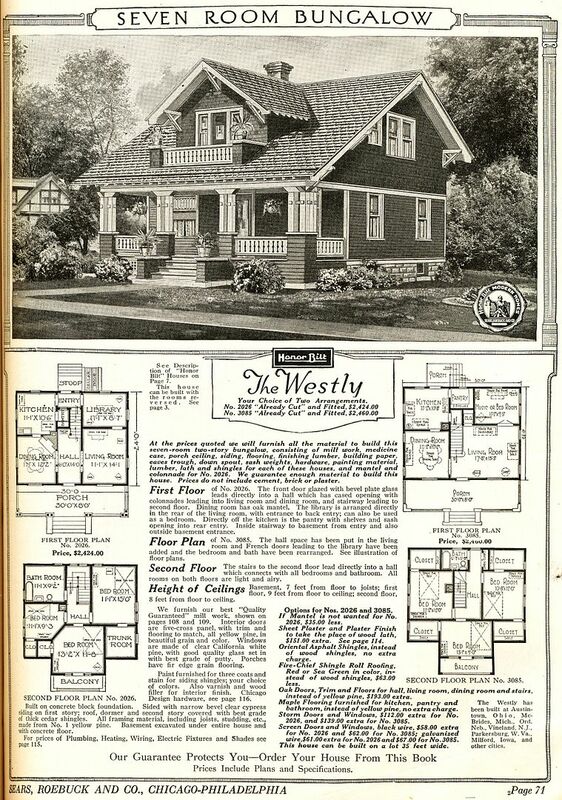 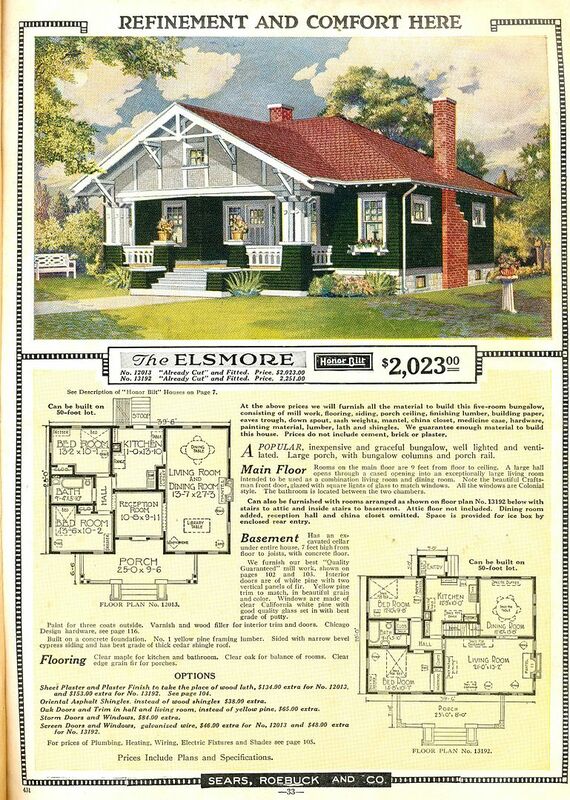 You wouldn't even make it to the front porch if you were visiting folks in this house (1921 Sears Modern Homes catalog). 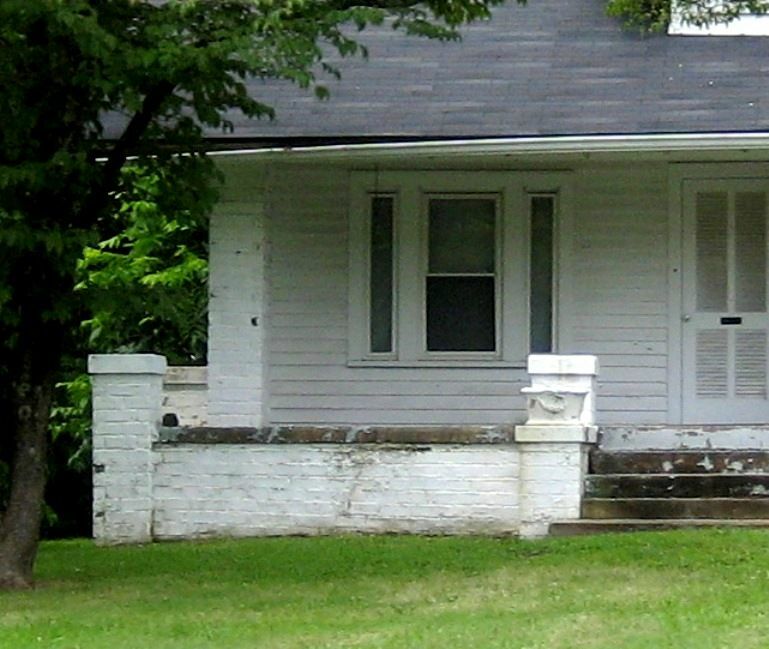 At least it's under a tree. 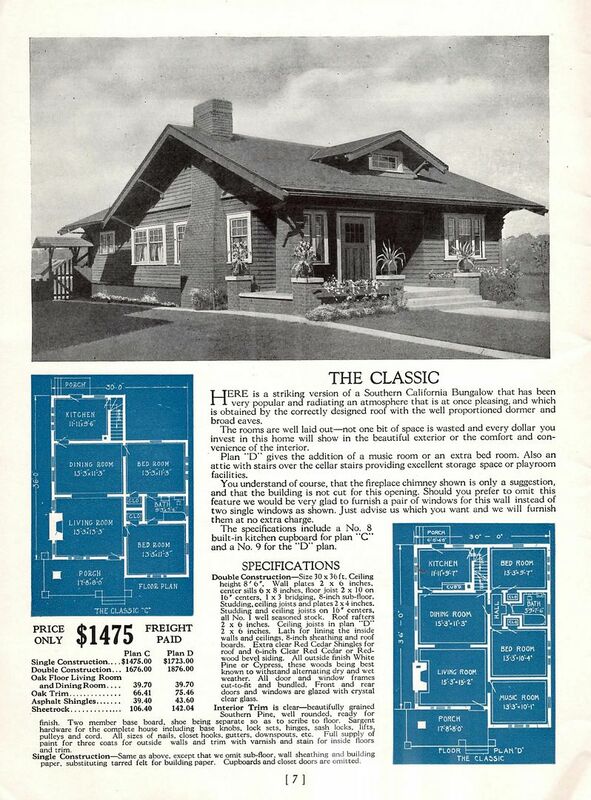 The Homebuilders' catalog features many houses with Hospitality Seats. 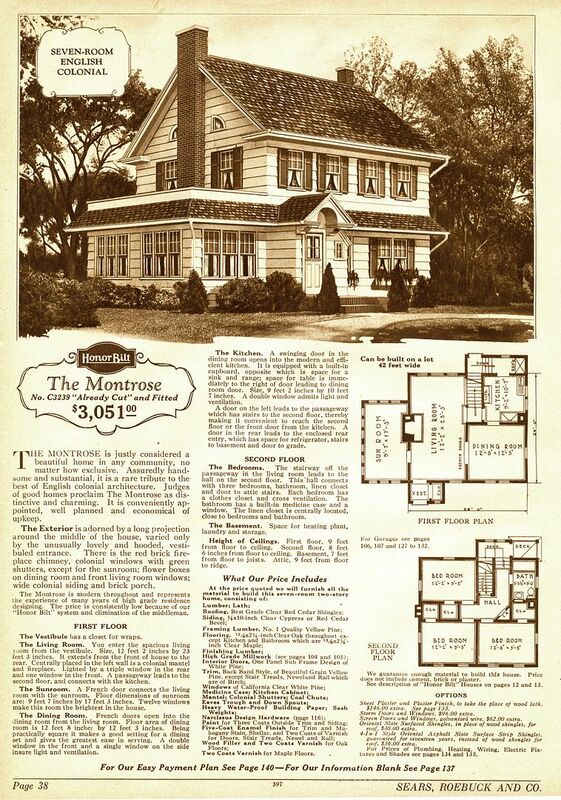 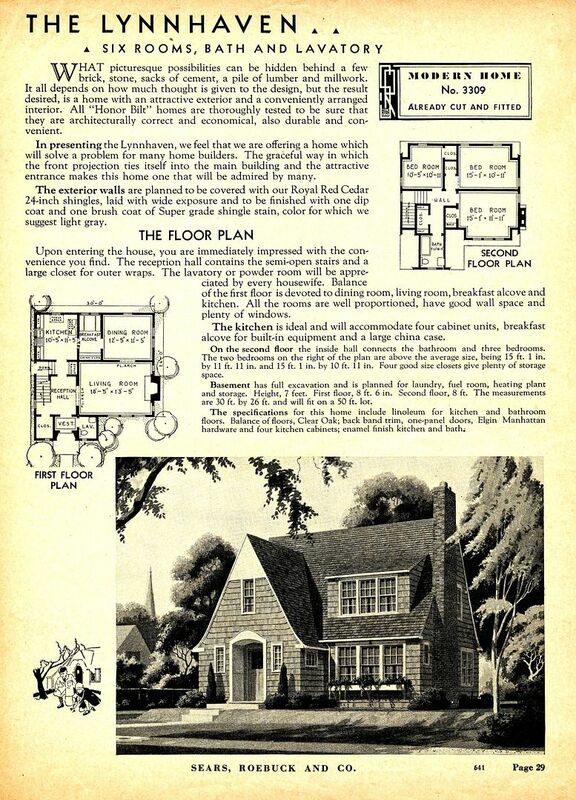 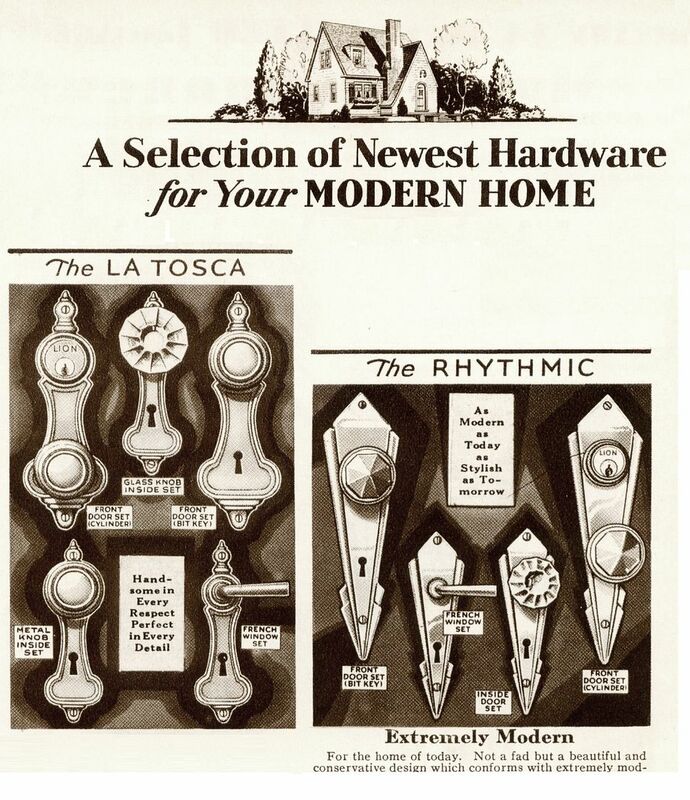 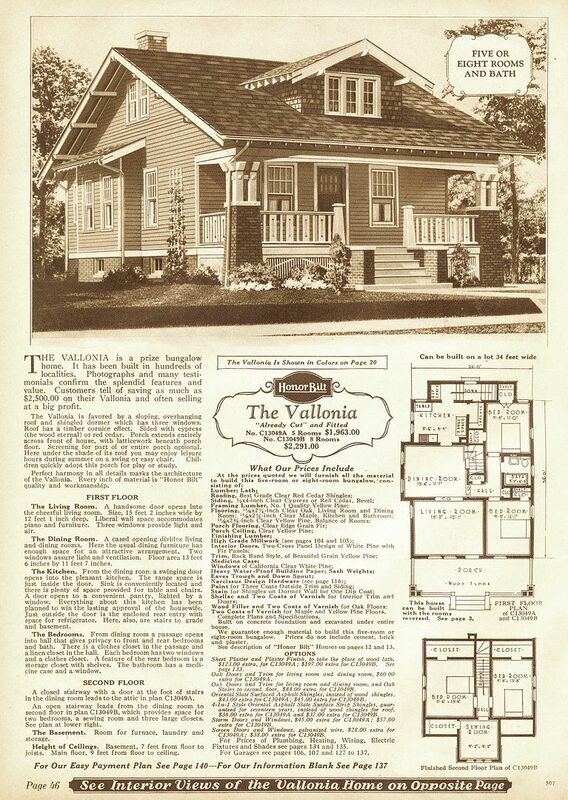 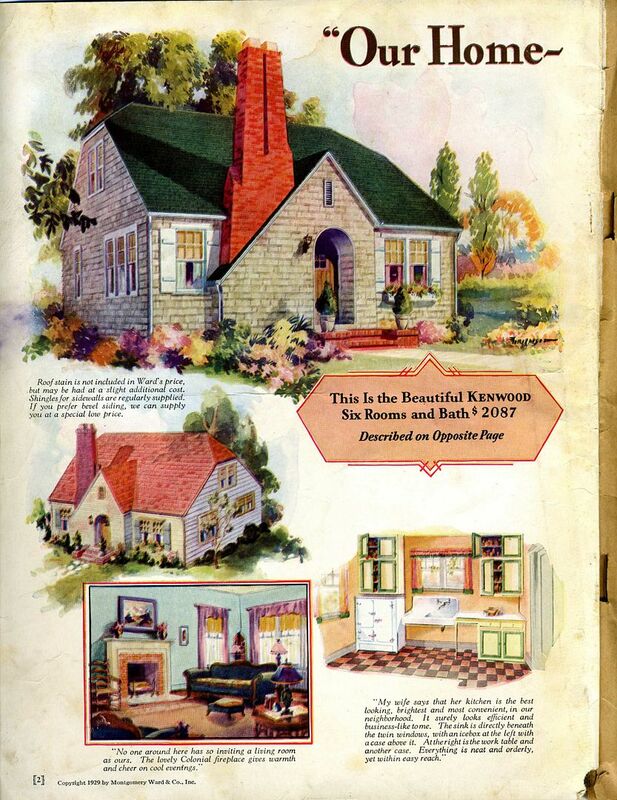 Shown here is "The Carstine" (1927 Homebuilders' Catalog). 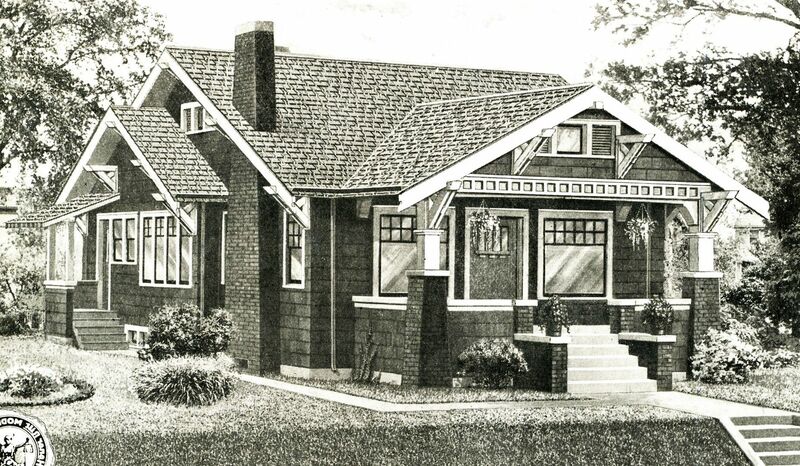 The "Callao" (1927 Homebuilders) has a pergola *and* two benches! 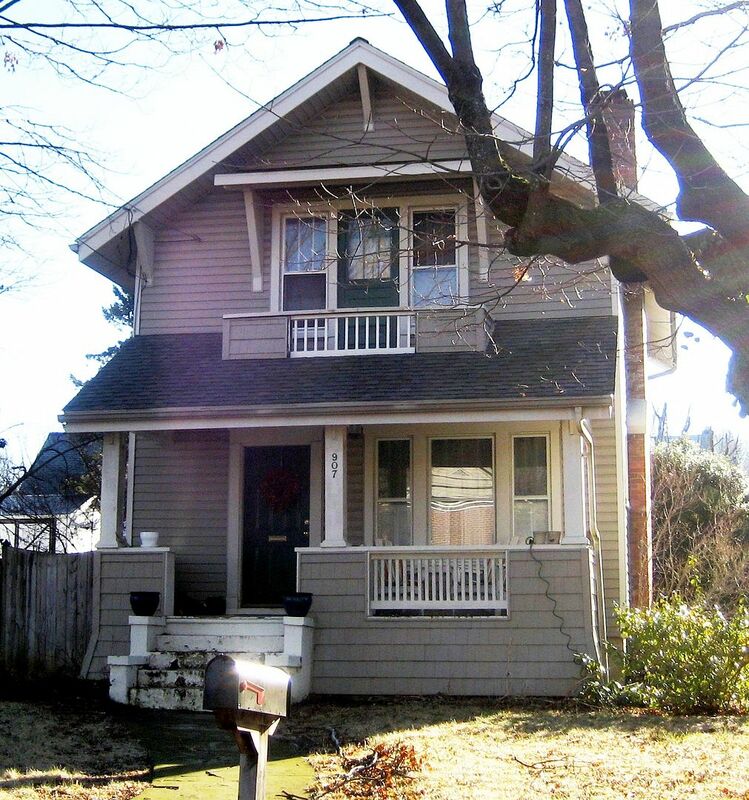 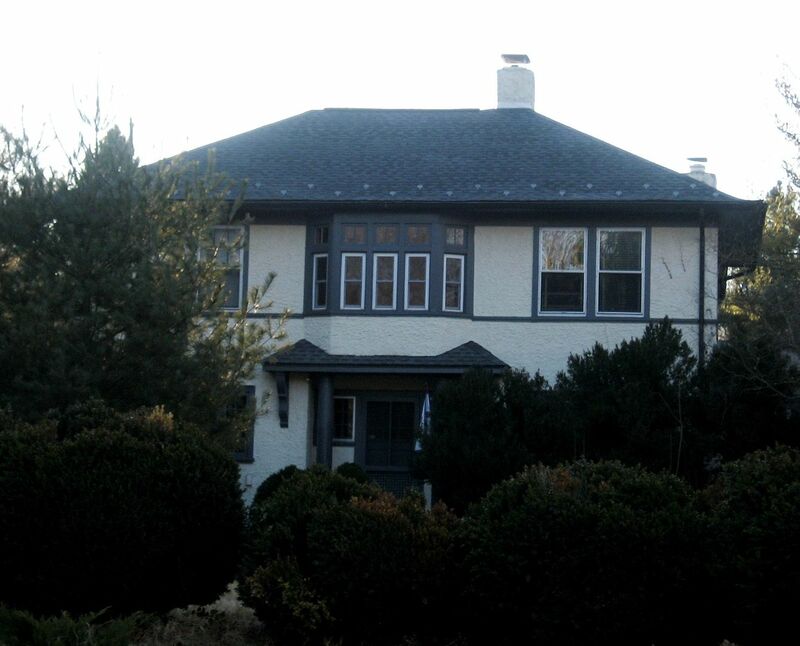 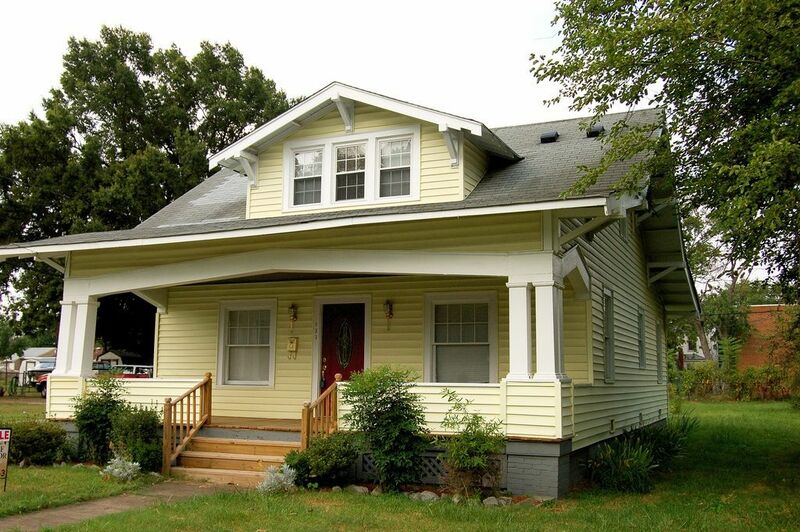 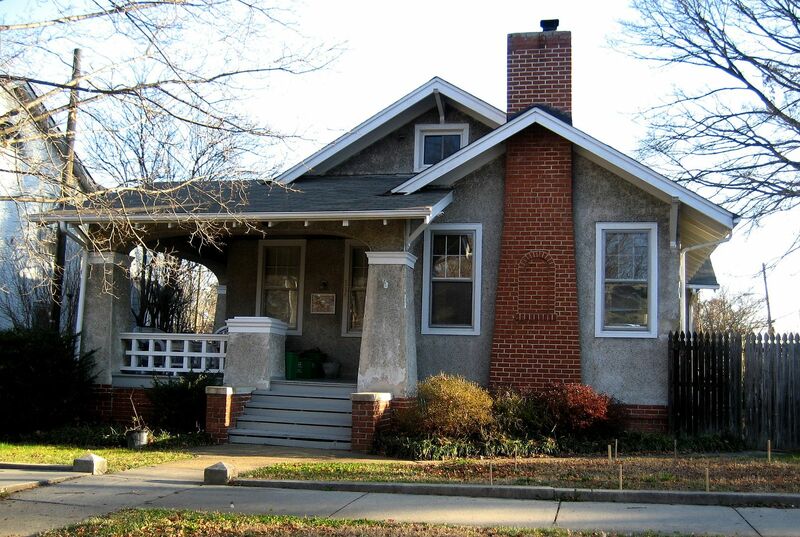 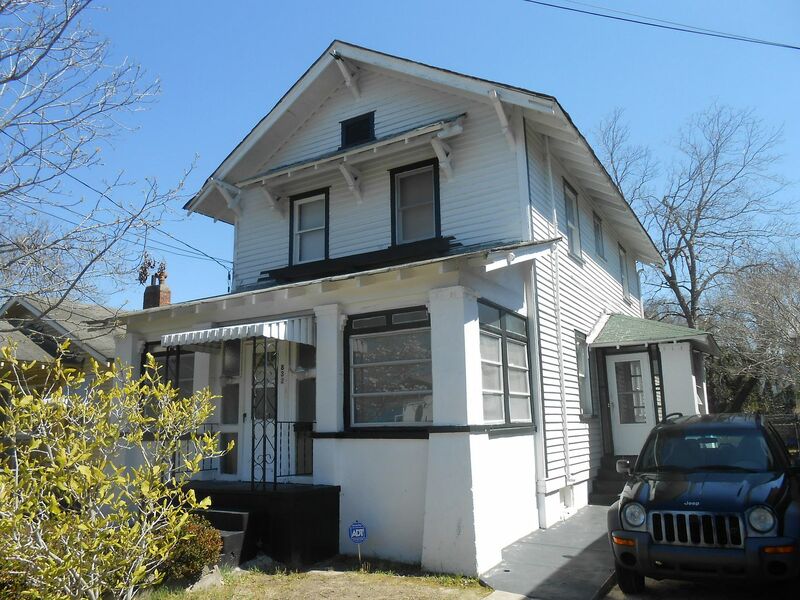 Apparently if you have a non-traditional Dutch Colonial you get only one bench (The Colinton, 1927). 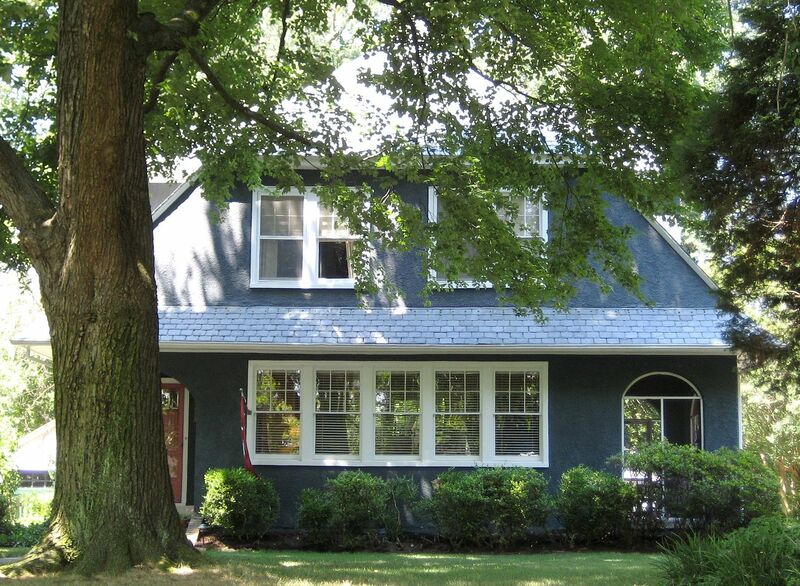 But if your Dutch Colonial is really ugly, you get the ugly benches to match (The Cleo). 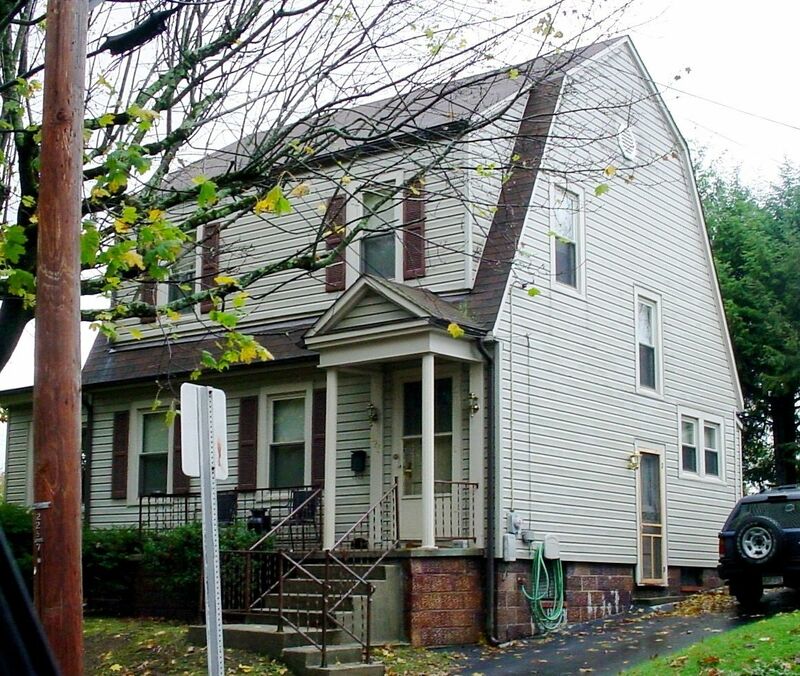 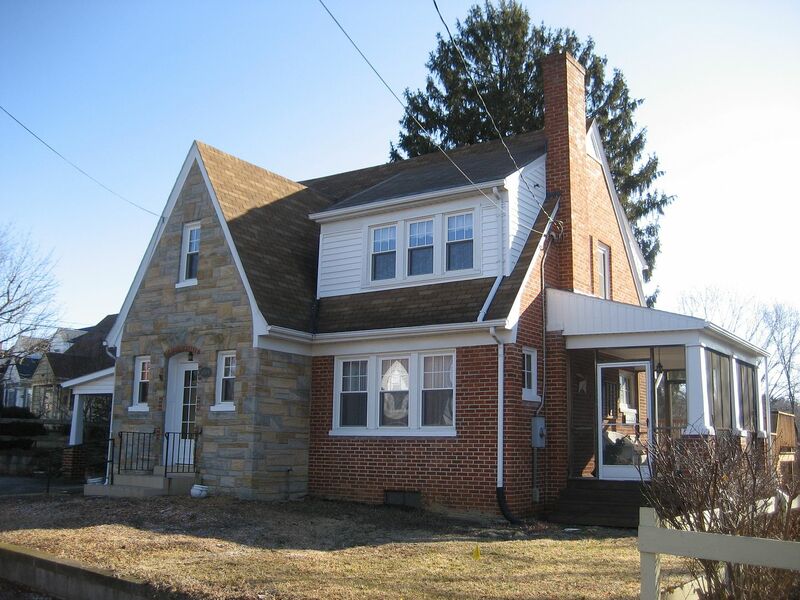 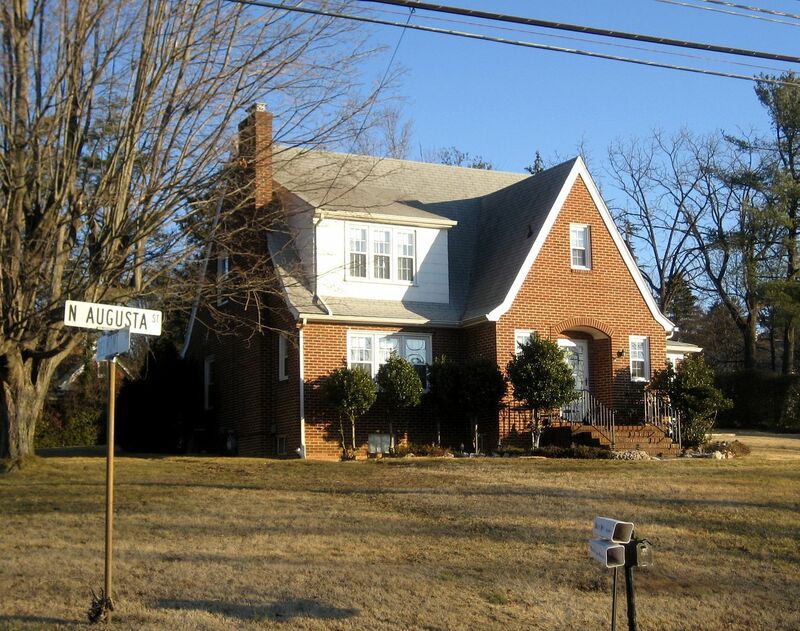 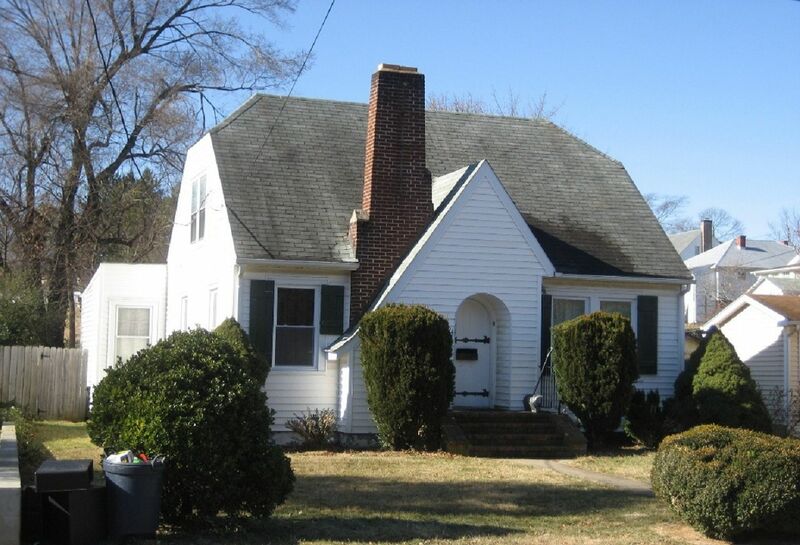 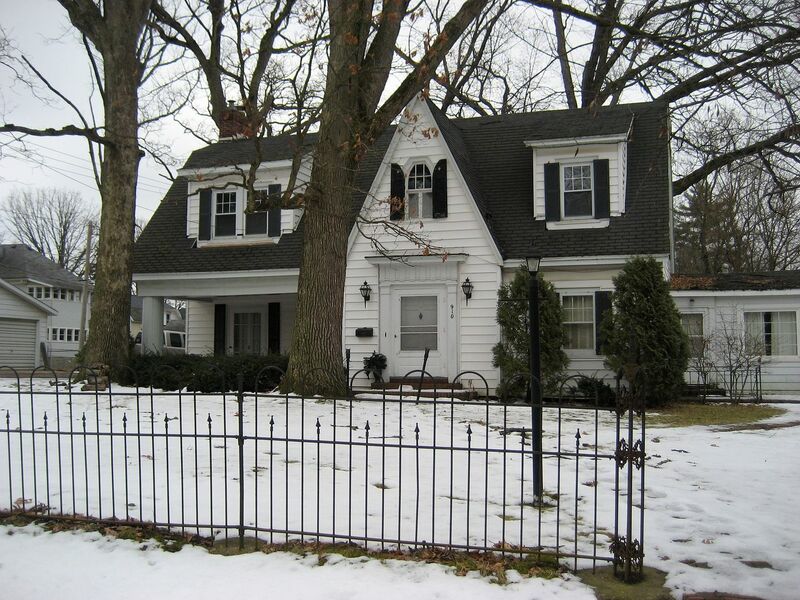 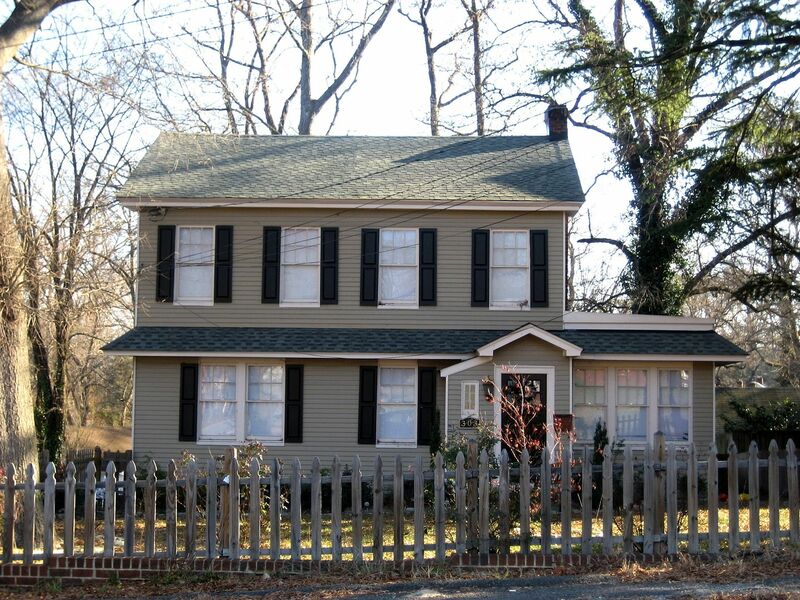 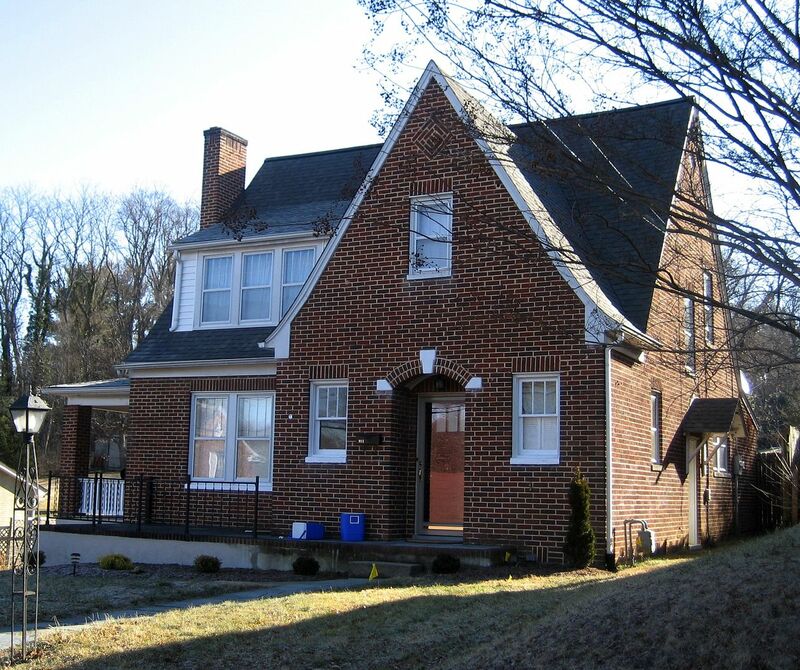 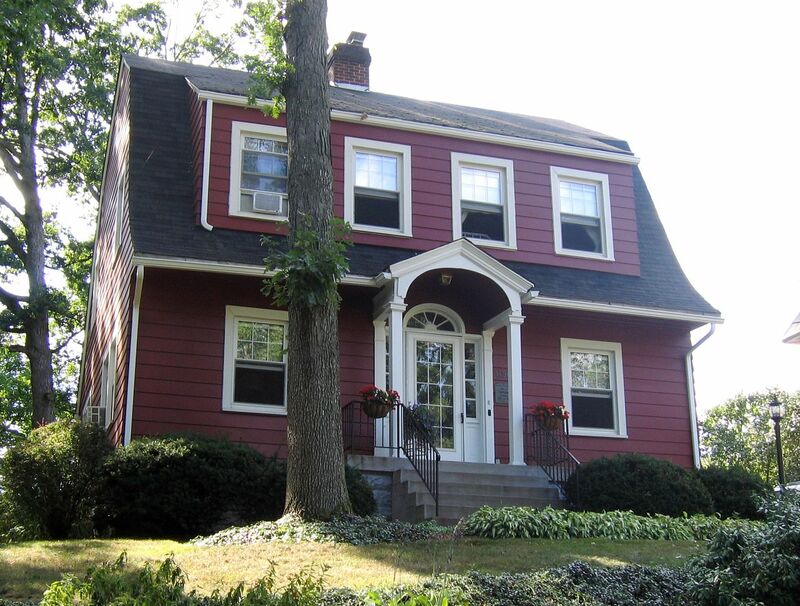 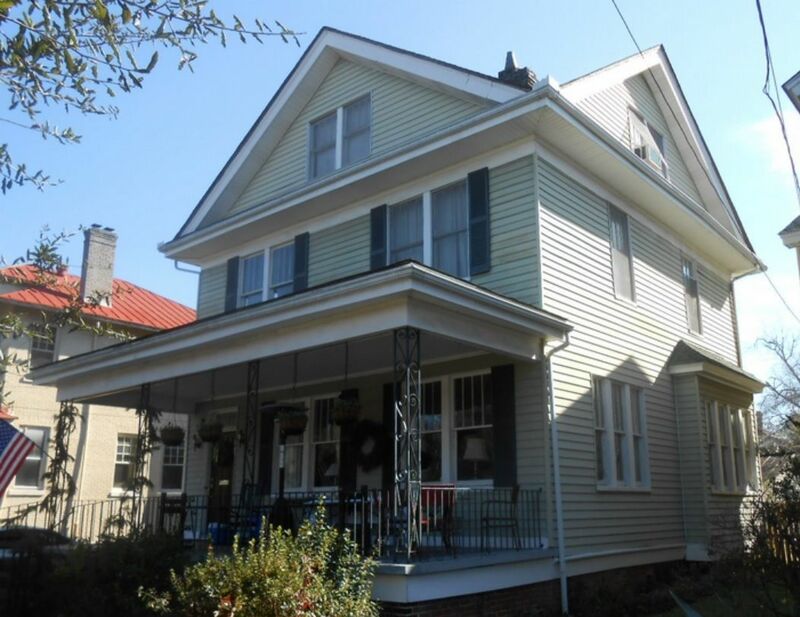 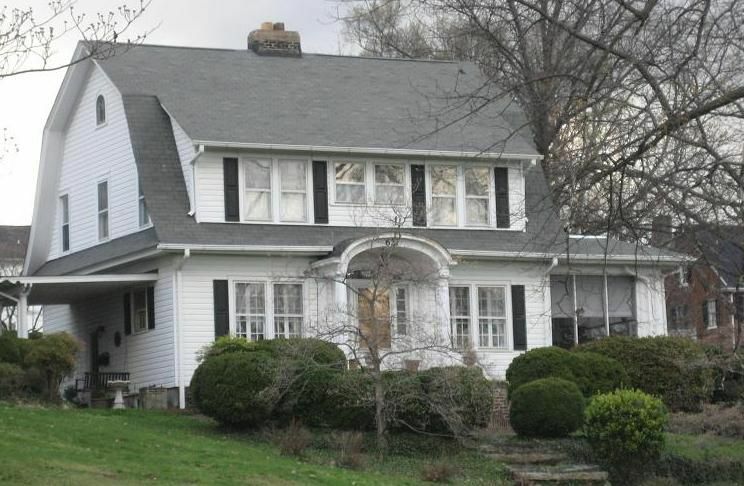 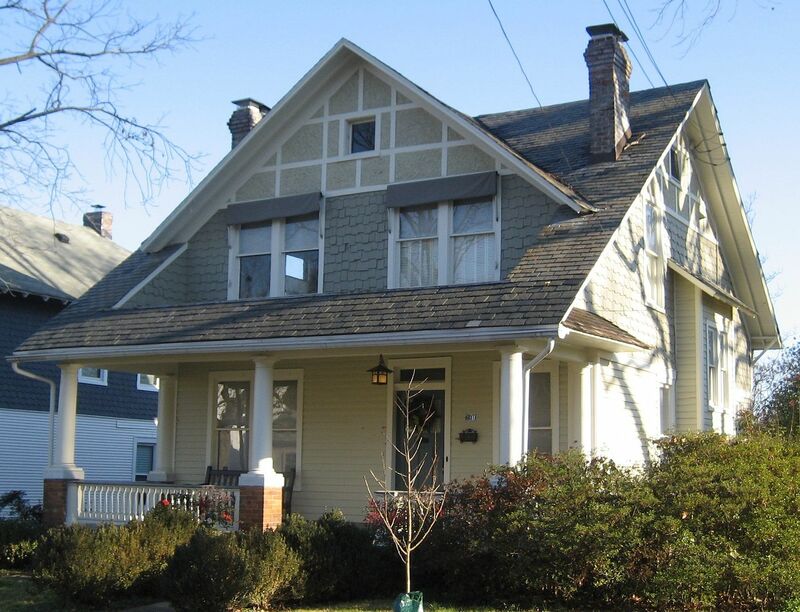 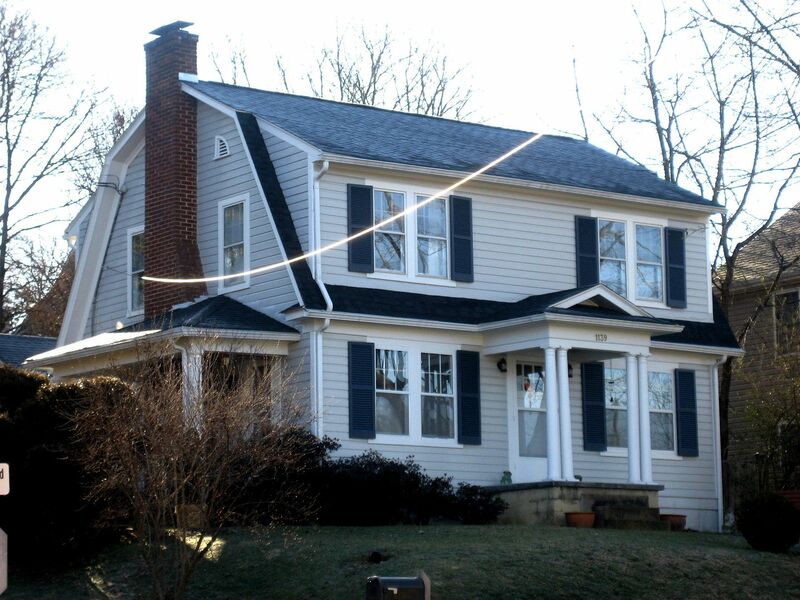 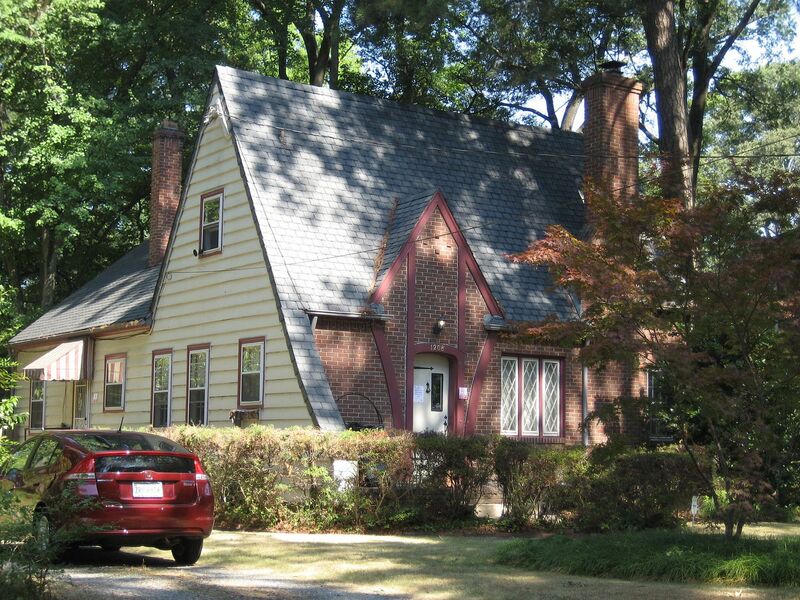 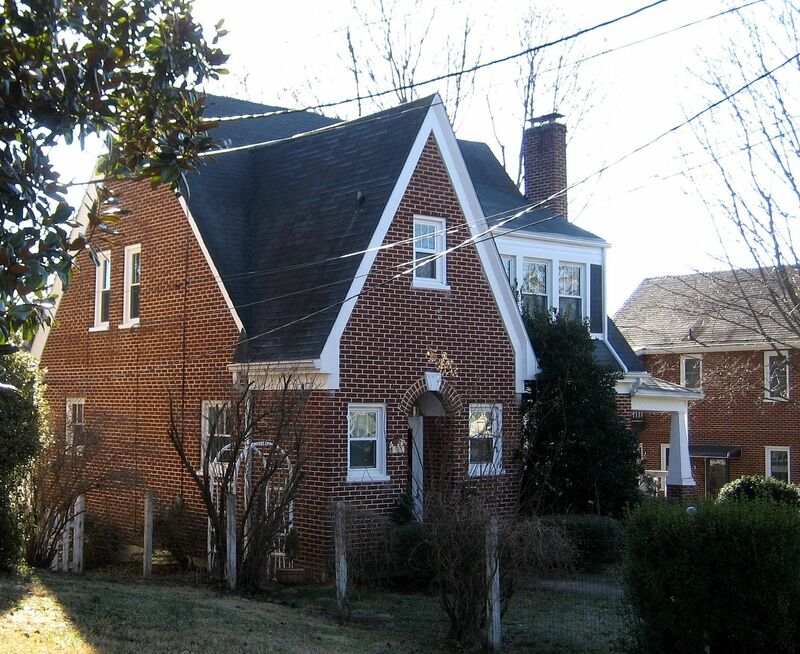 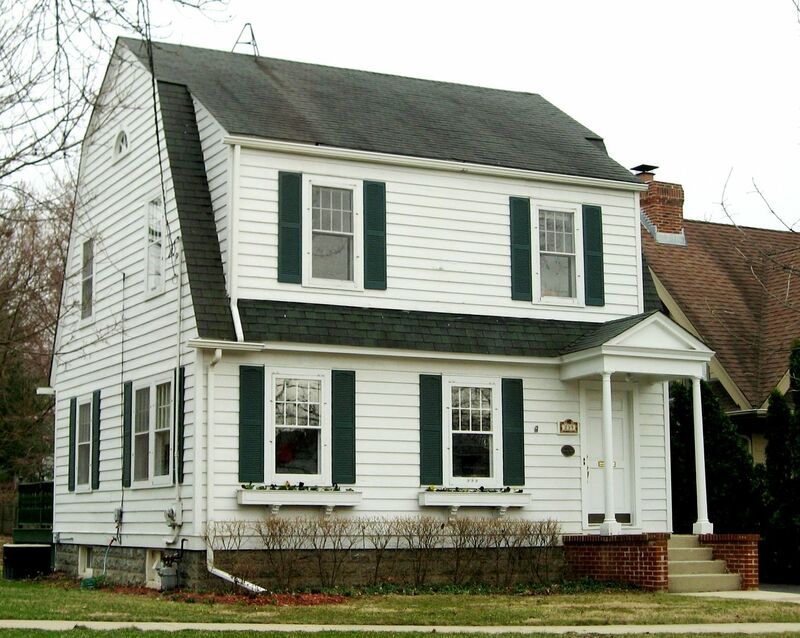 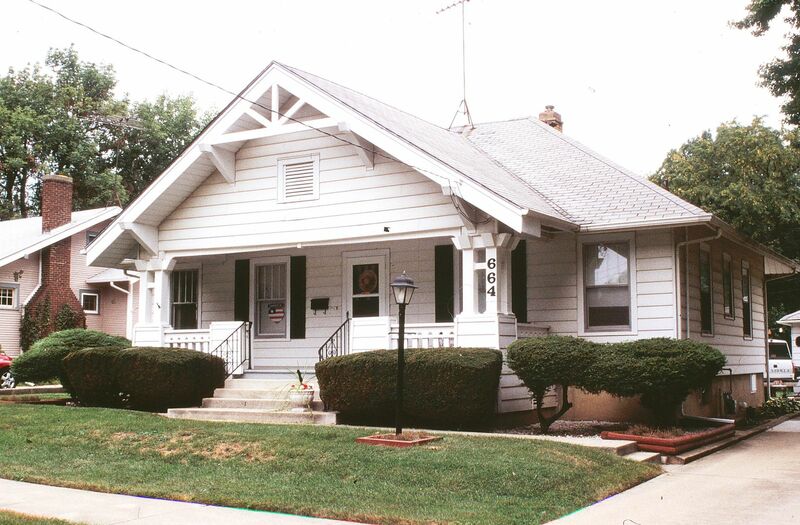 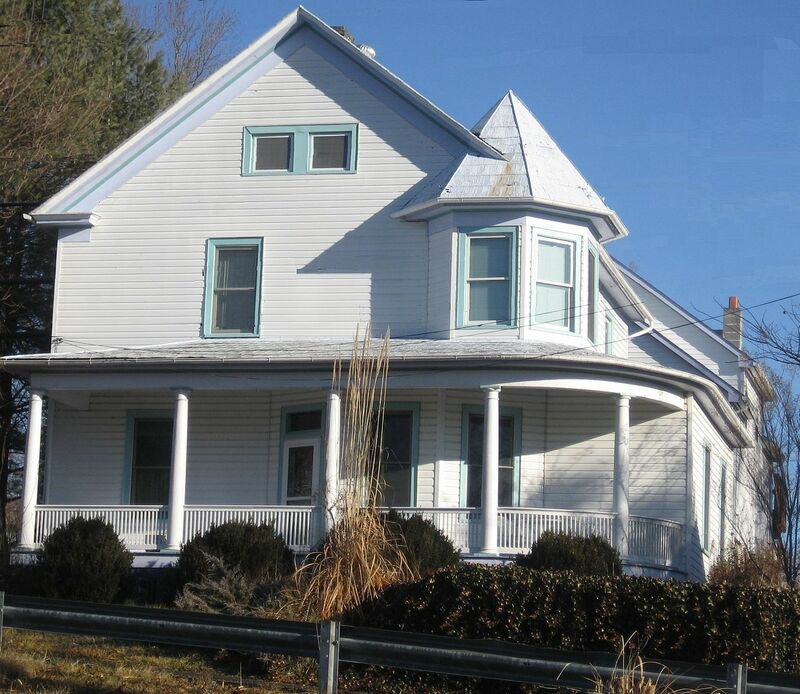 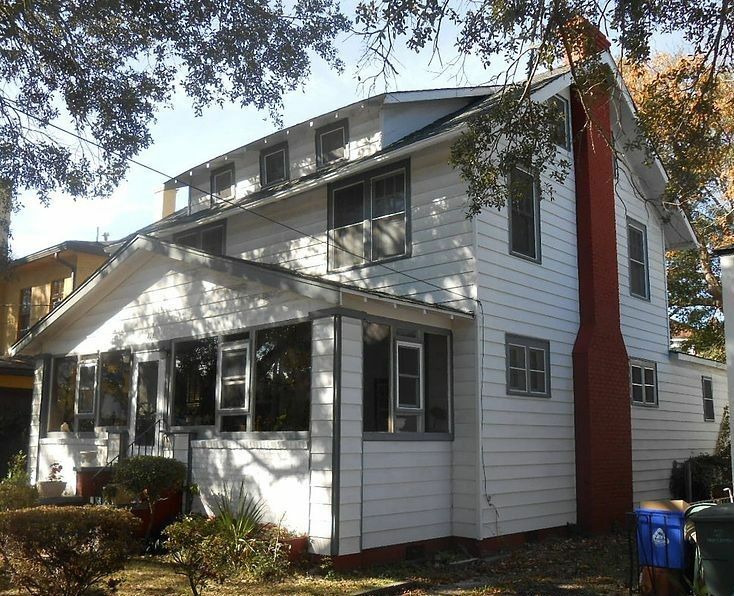 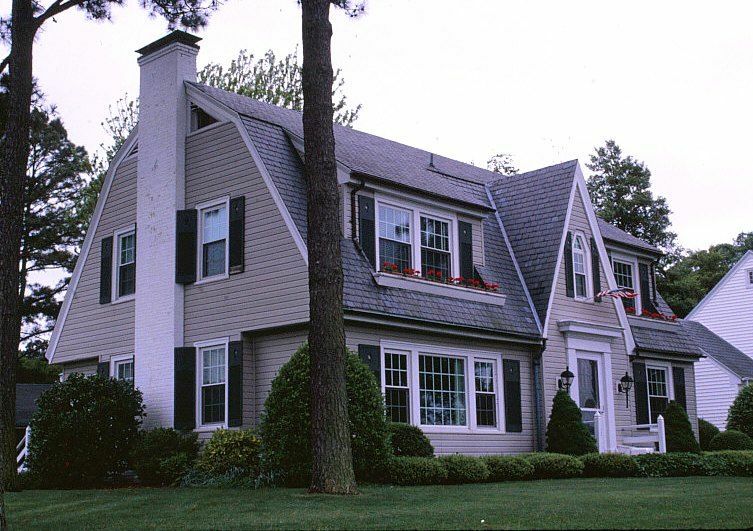 This classic Dutch Colonial had about 1,600 square feet and a spacious attic, too (due to the steep pitch of the roof). 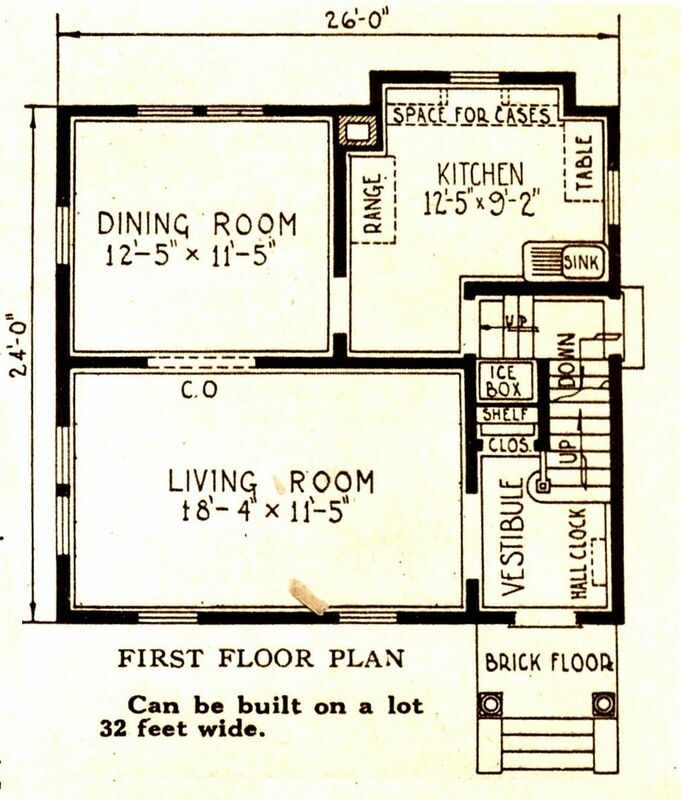 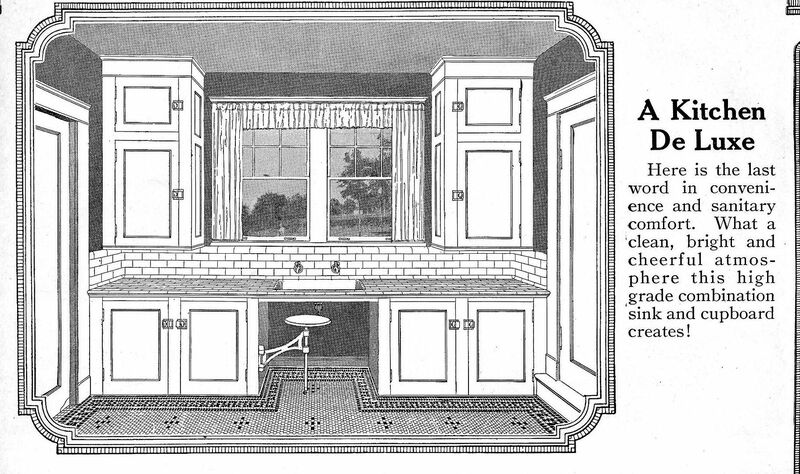 As is shown by the floor plan (below), it had a very large living room (25′ by 14′), a fireplace with a tiled hearth, built-in china hutch in the dining room, and a built-in ironing board in the kitchen. 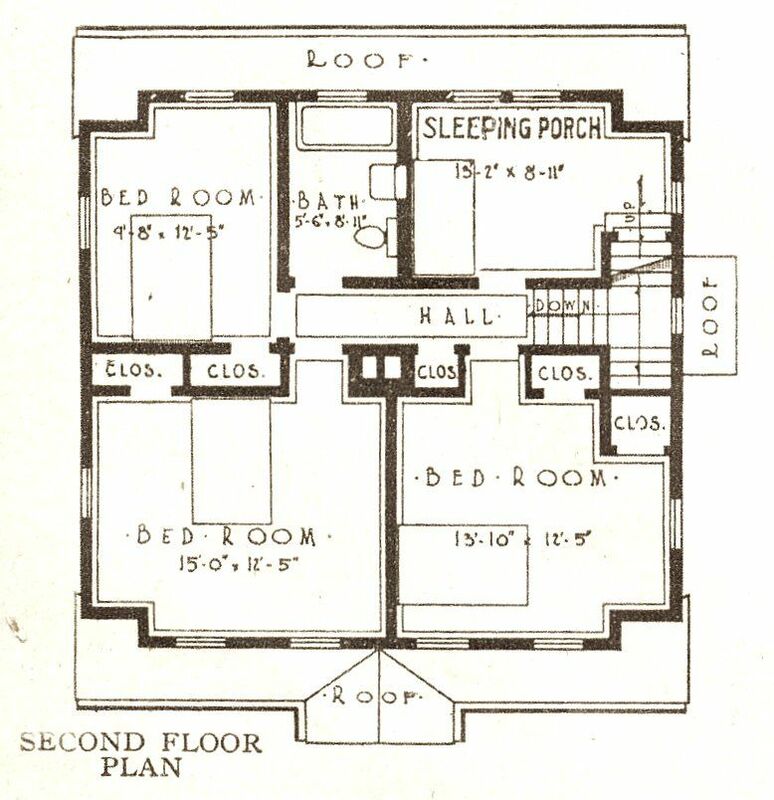 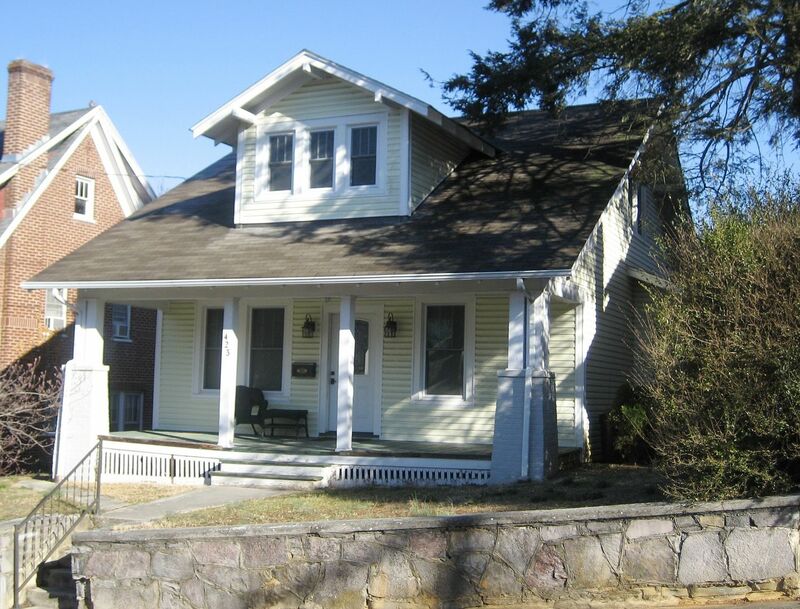 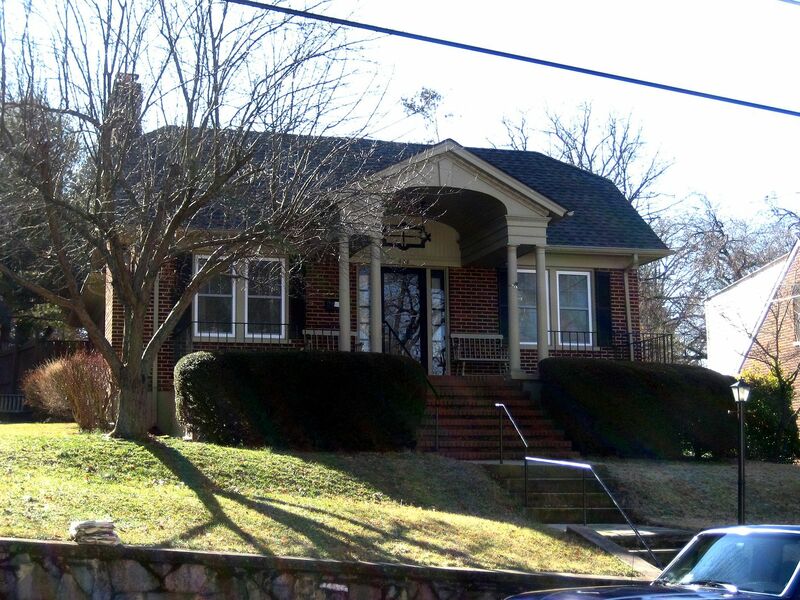 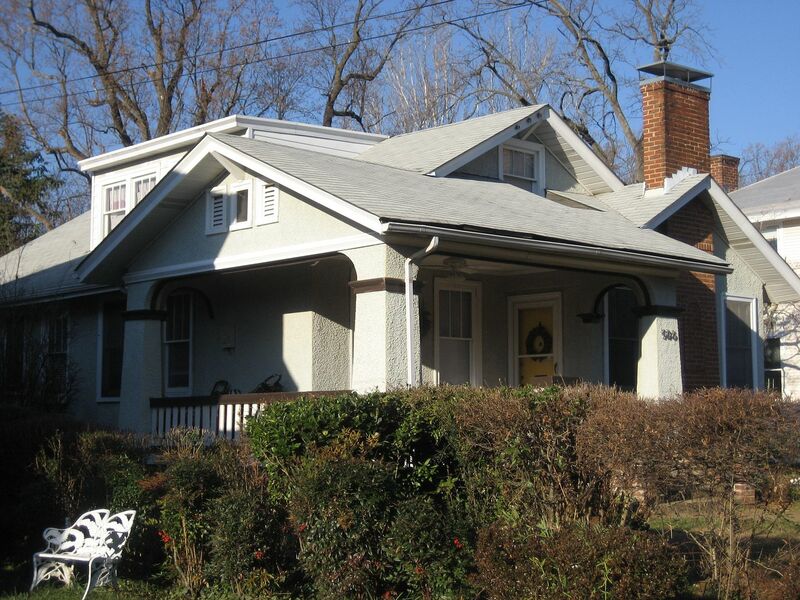 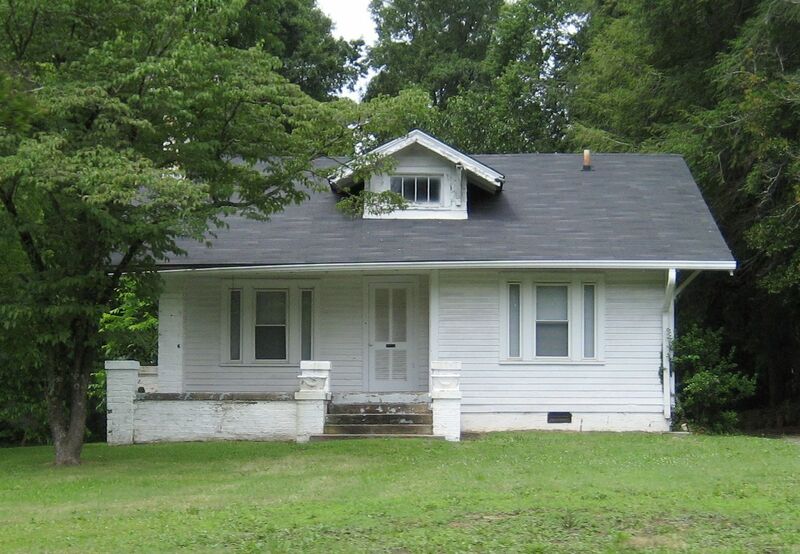 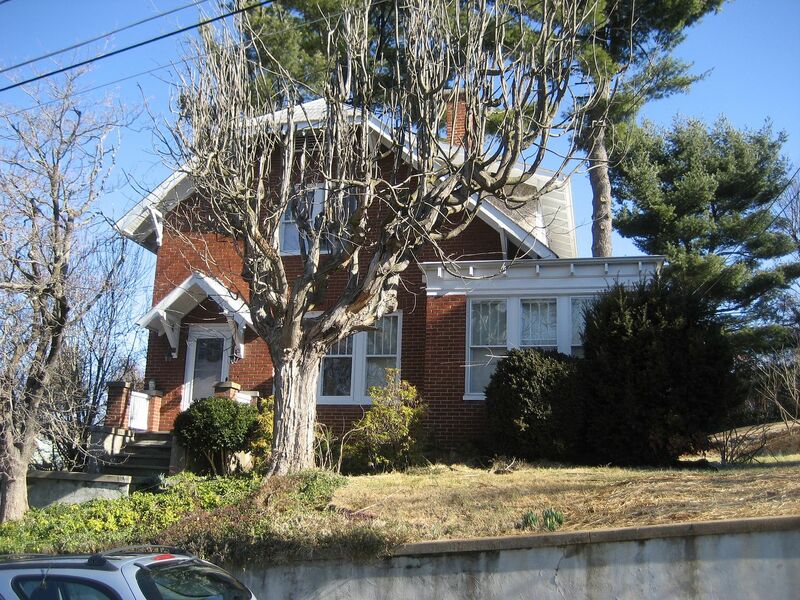 Upstairs, there were three bedrooms and a sleeping porch (which was probably converted into a bedroom in later years). 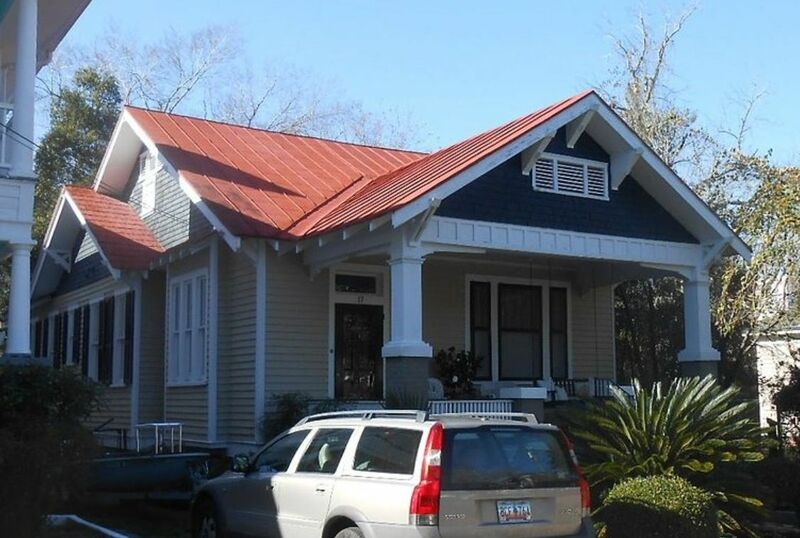 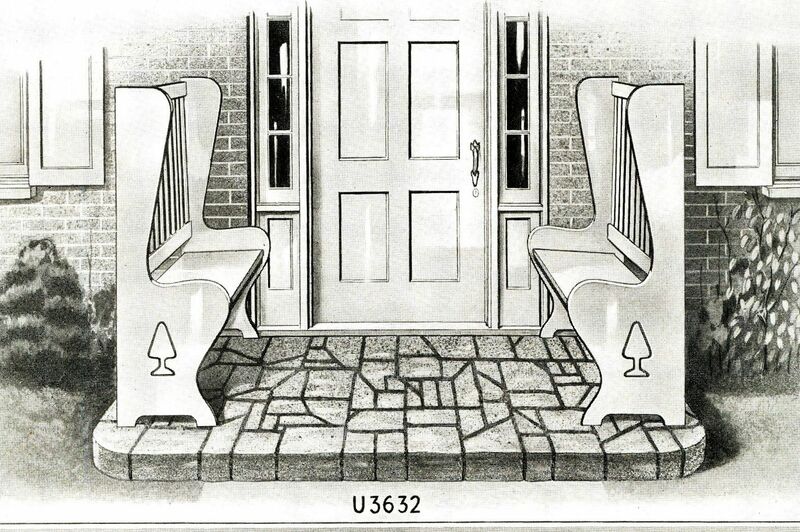 To learn more about why “sleeping porches” were so popular, click here. 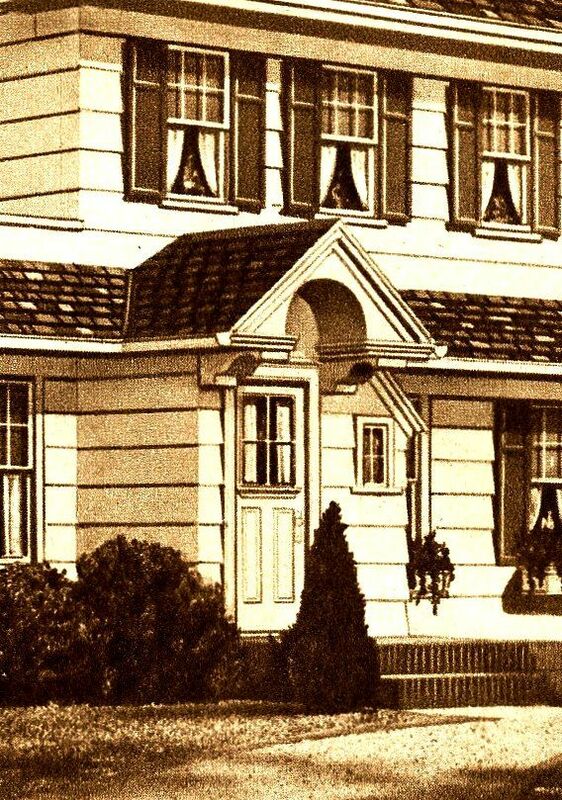 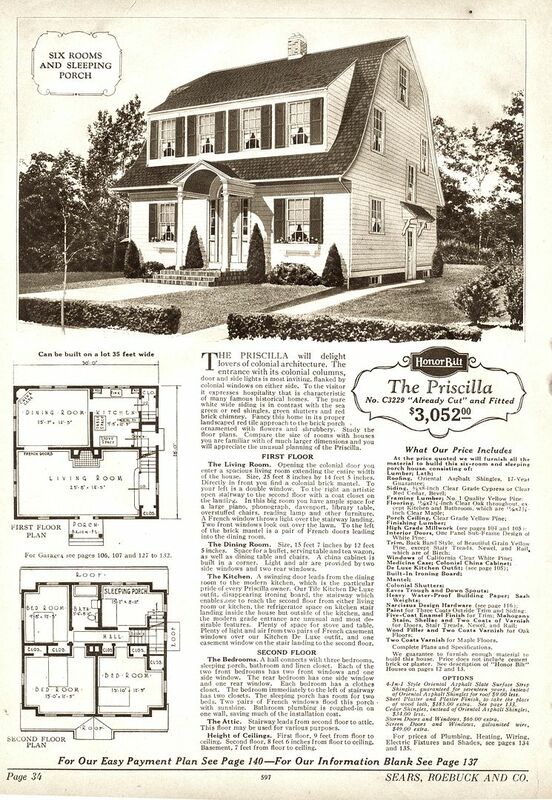 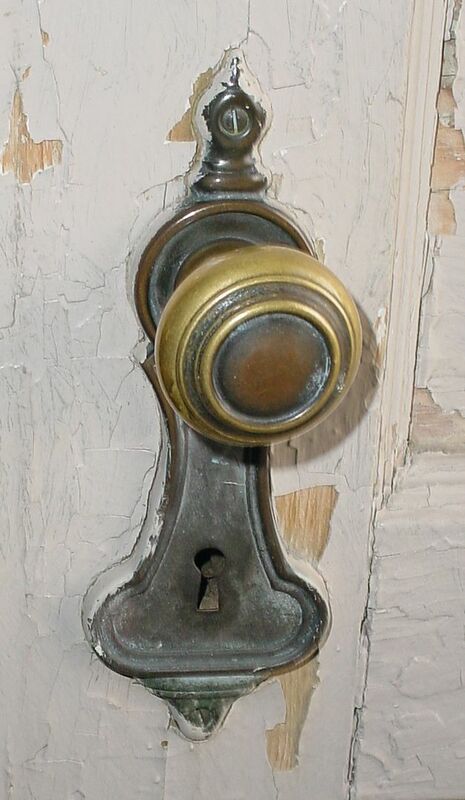 Very few Sears kit homes had functional shutters, but the Priscilla was one of them. 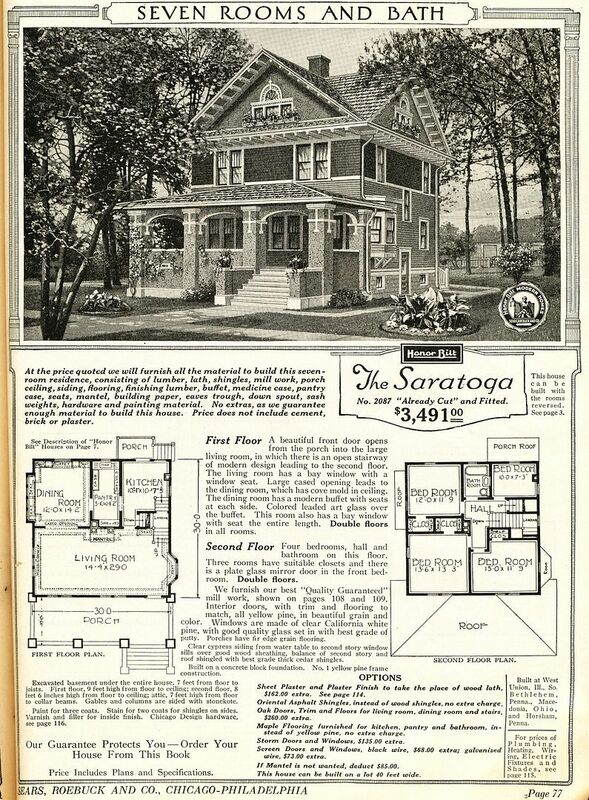 It was a beautiful home and it was one of the more expensive houses that Sears offered, which may explain why it wasn’t a more popular house. 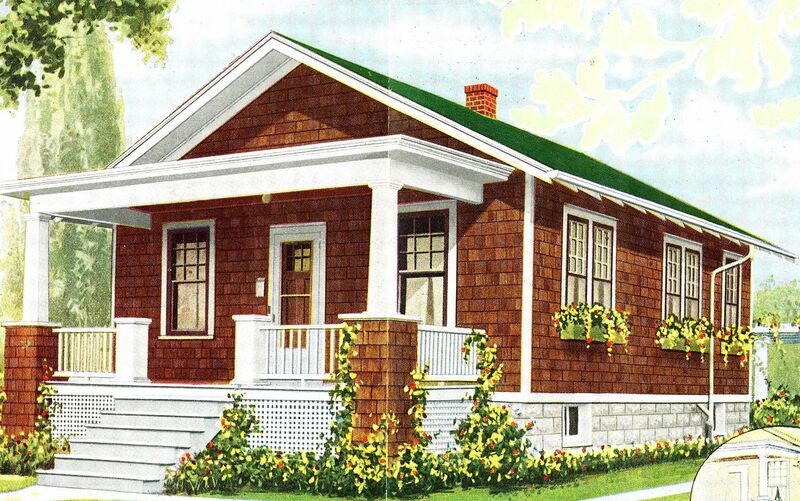 To read about how to identify kit homes, click here. 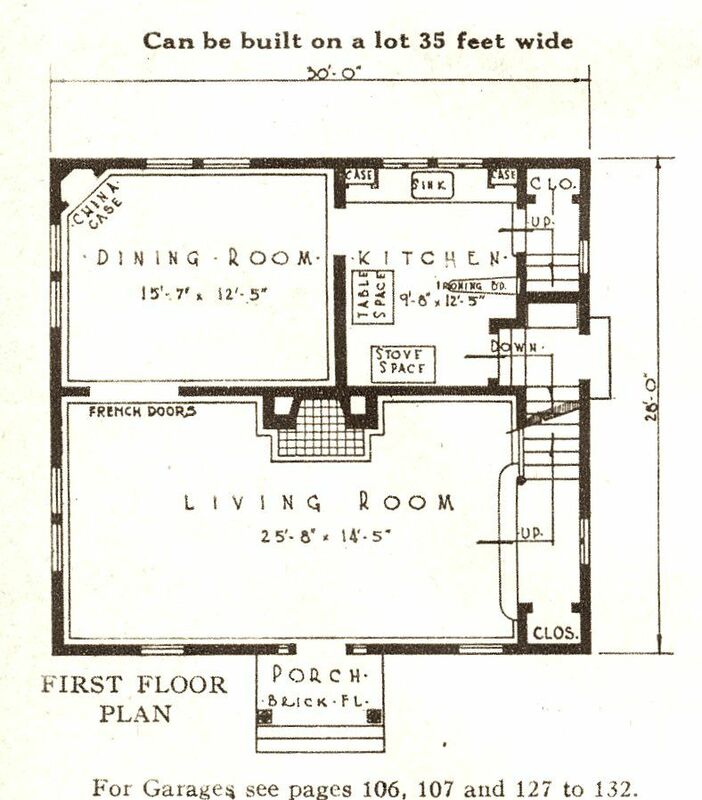 The living room spans the full width of the first floor. 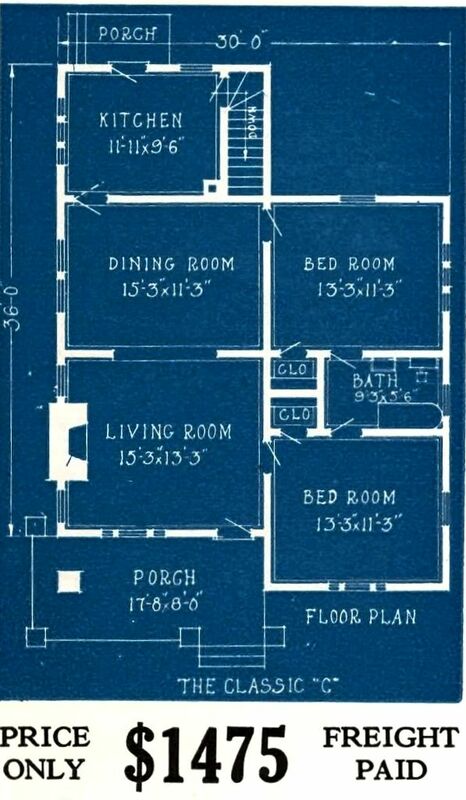 The second floor has four good size rooms. 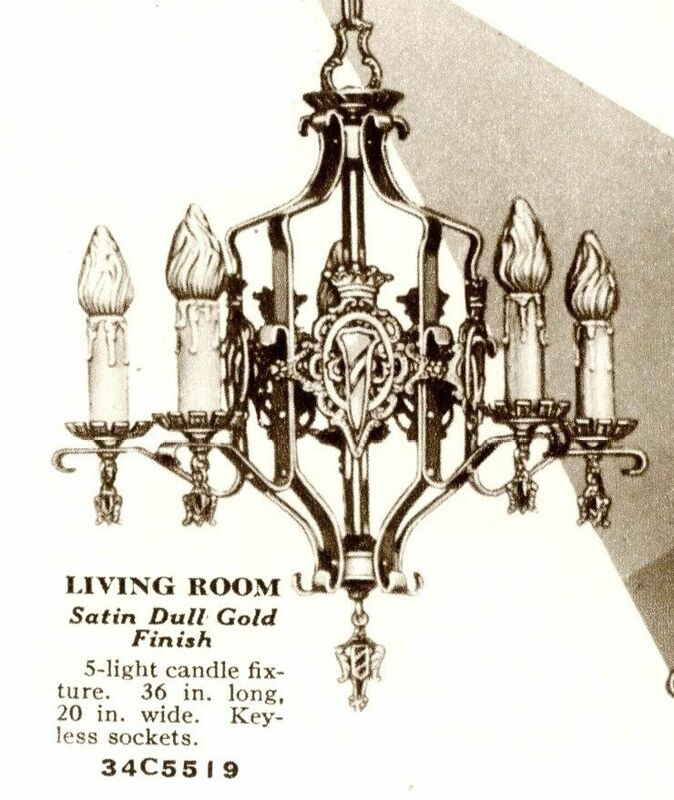 Close-up of the Sears Priscilla (1928). 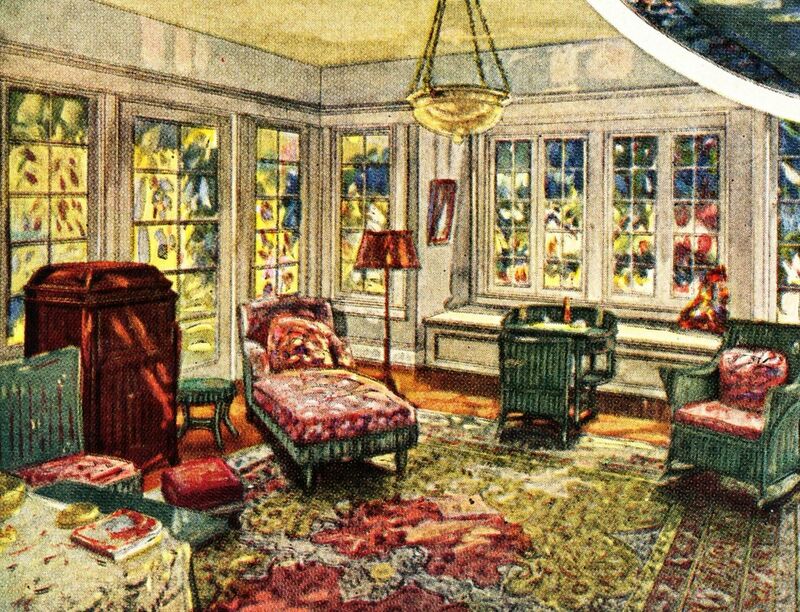 To see more pretty pictures, click here. 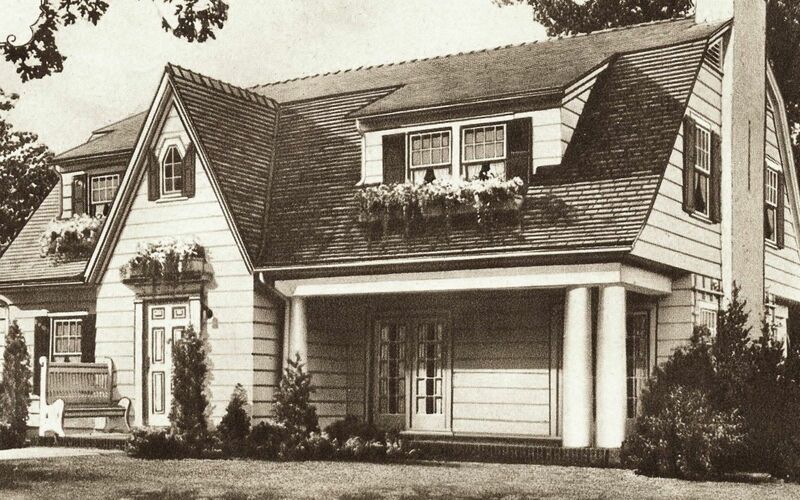 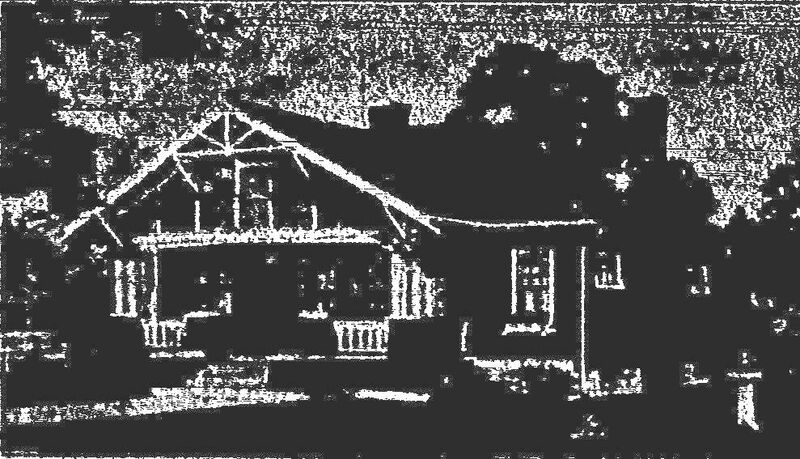 Of the 370 models that Sears offered, there was only one house that was fancier and bigger than the Glen Falls: The Sears Magnolia. 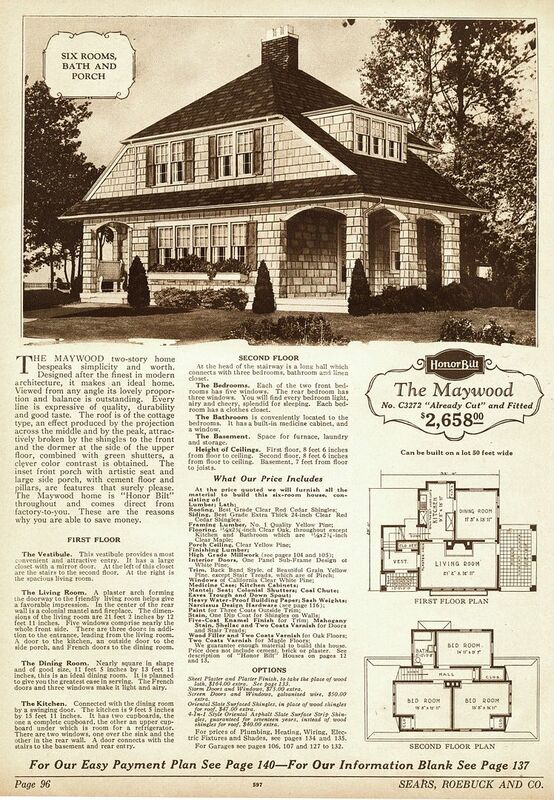 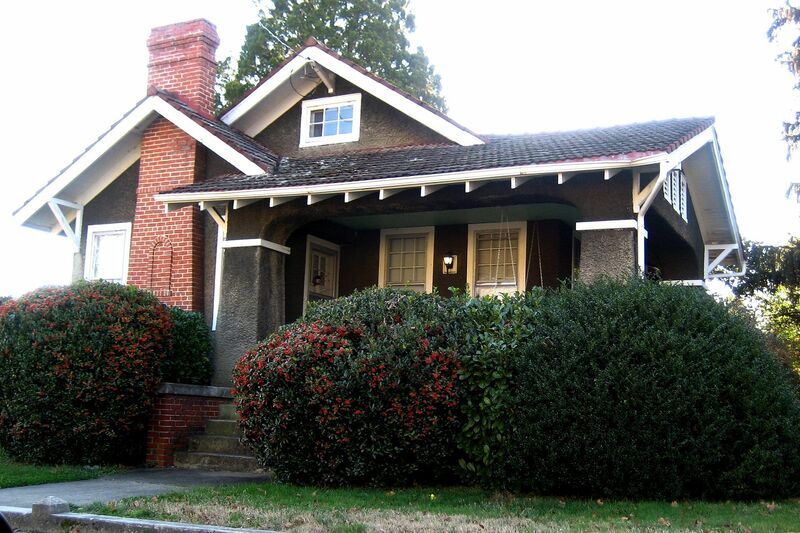 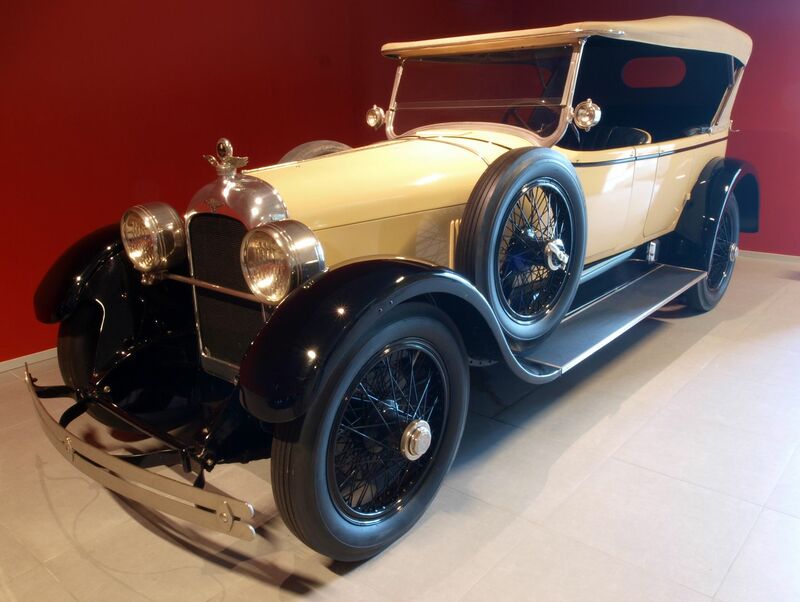 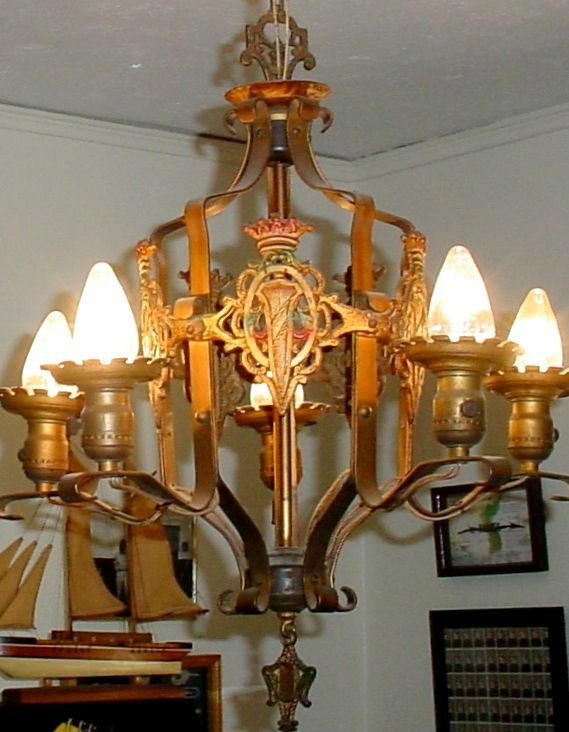 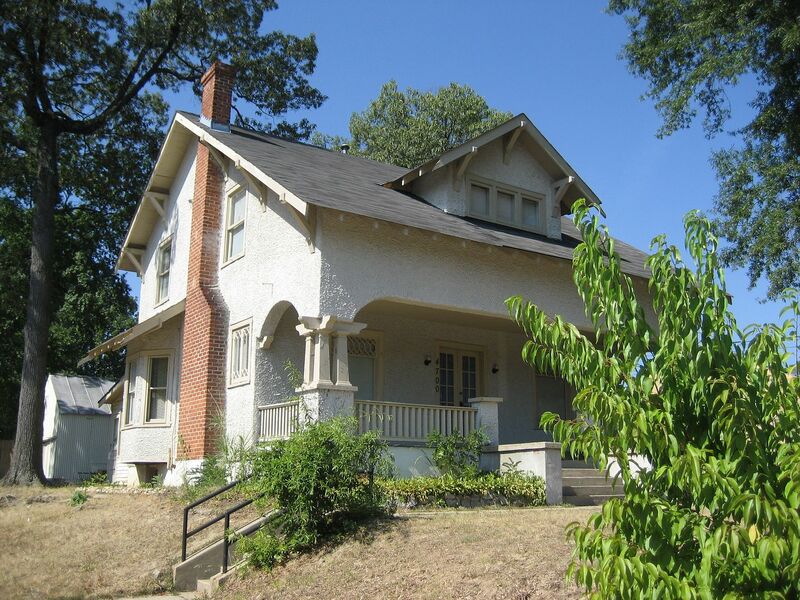 In 1922, the Magnolia had sold for $5,849. 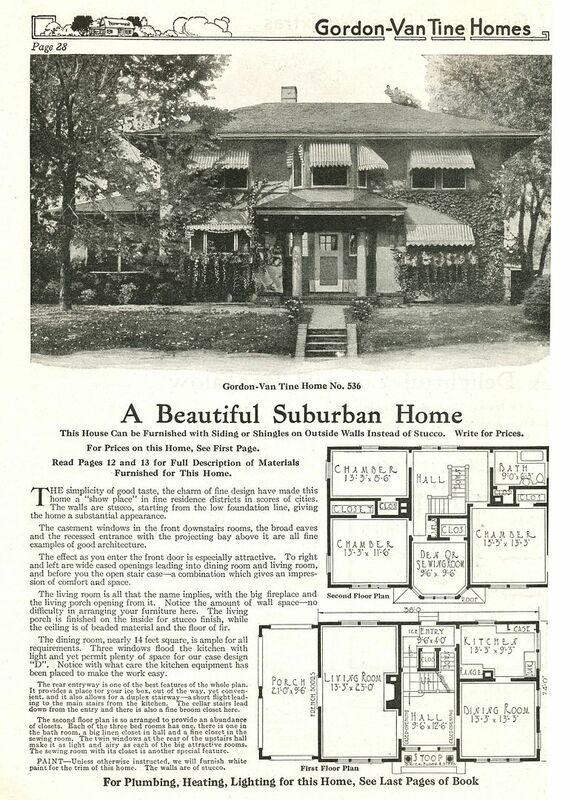 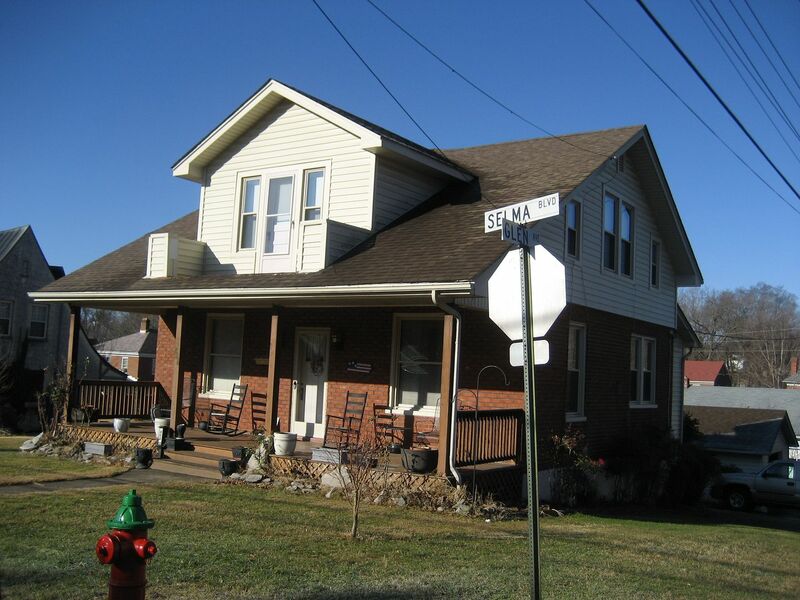 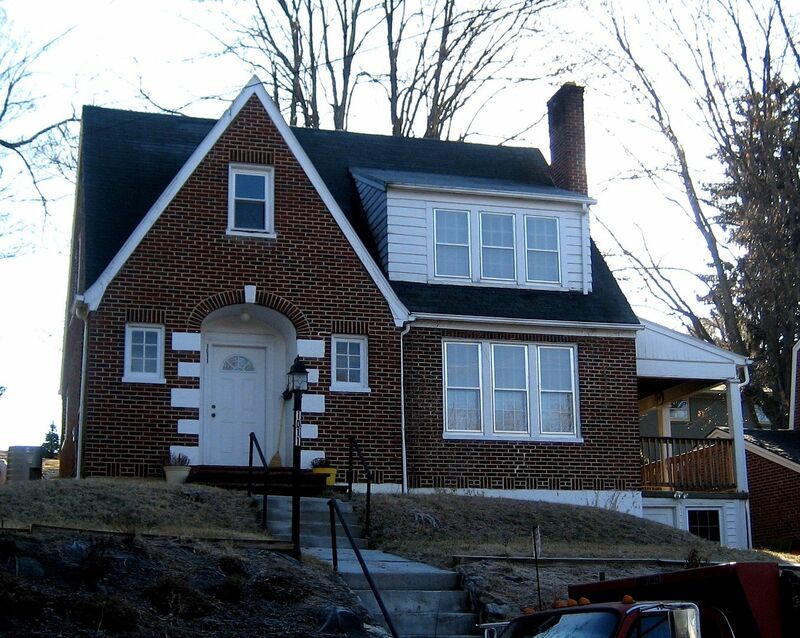 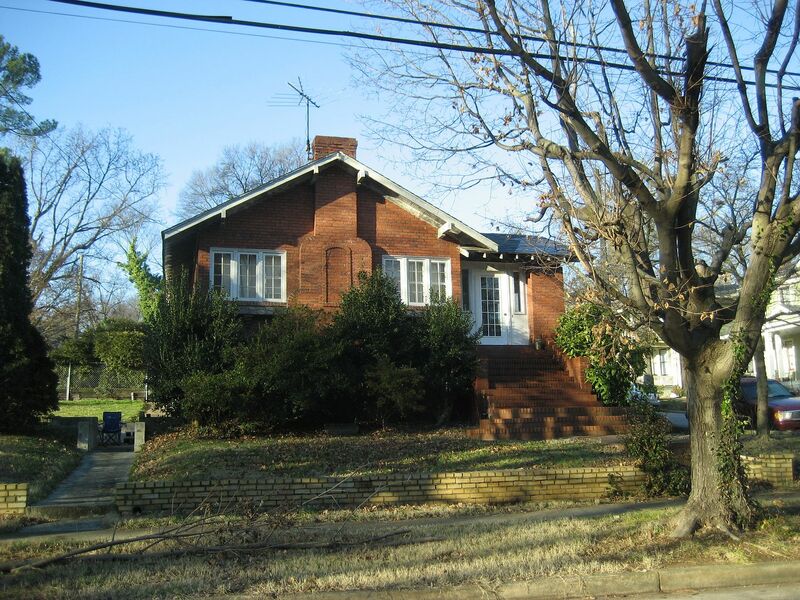 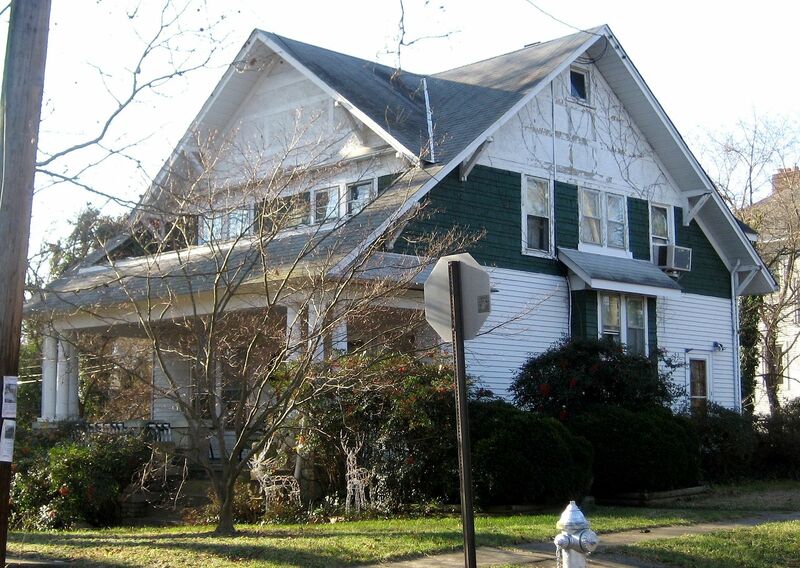 In the mid-20s, the Glen Falls sold for $4,560. 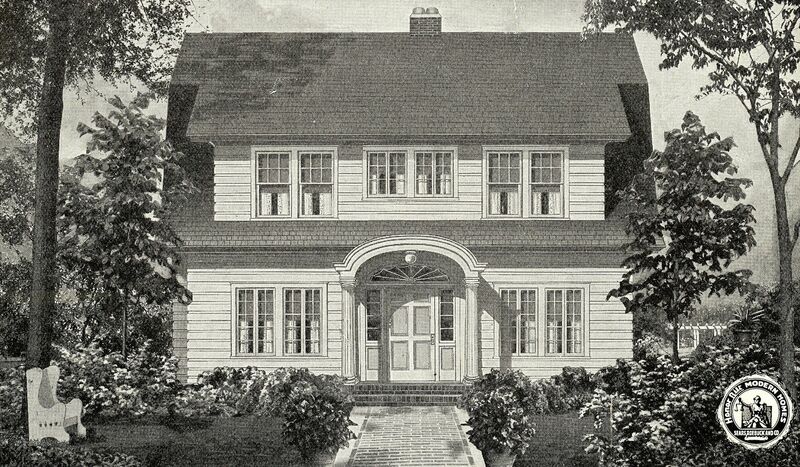 The Magnolia had 2,900 square feet. 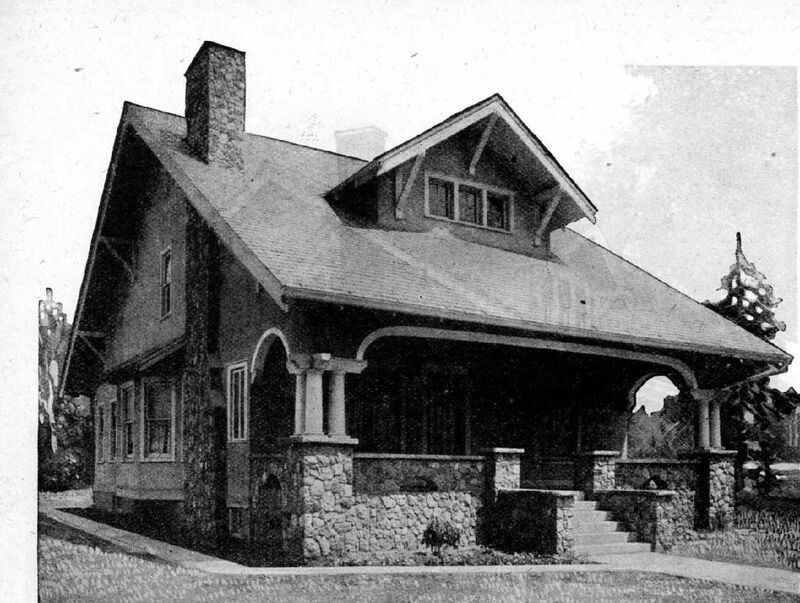 The Glen Falls had about 2,700 square feet. 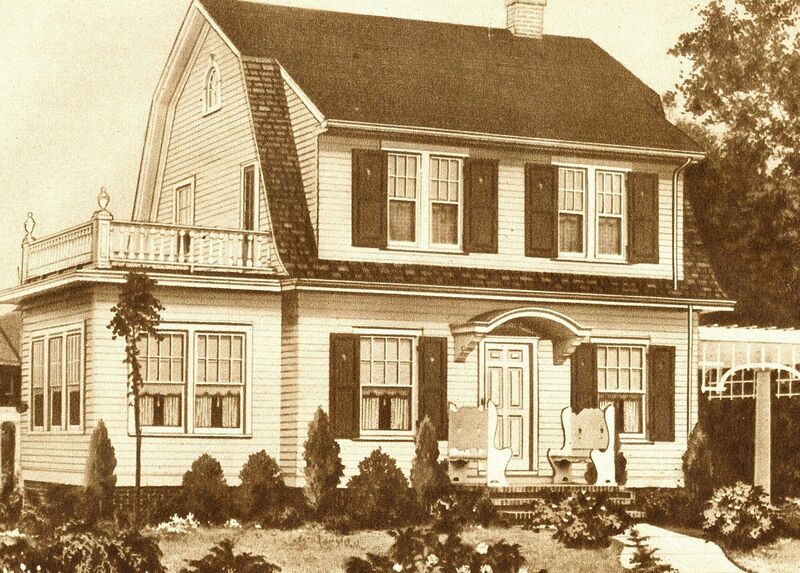 It was a very large house for its time. 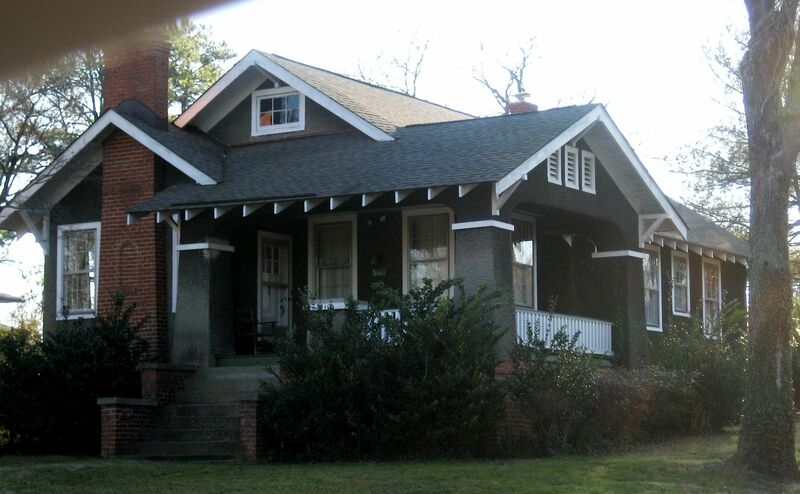 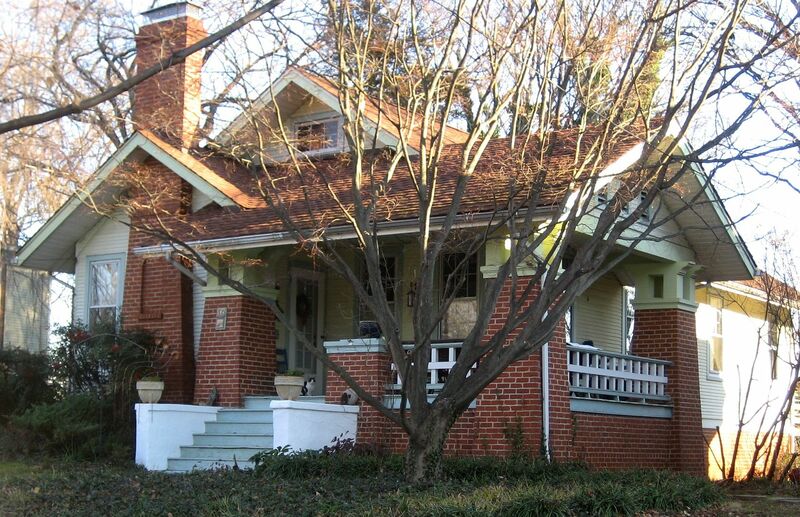 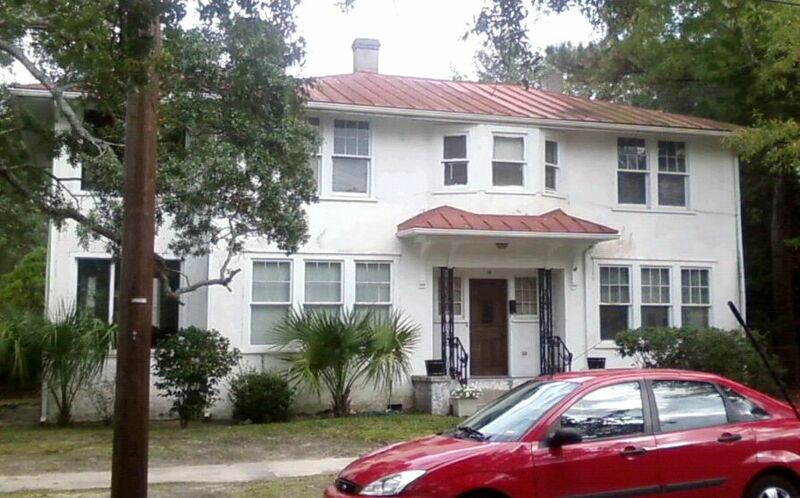 And while I love this house, it harbors some bad memories for me. 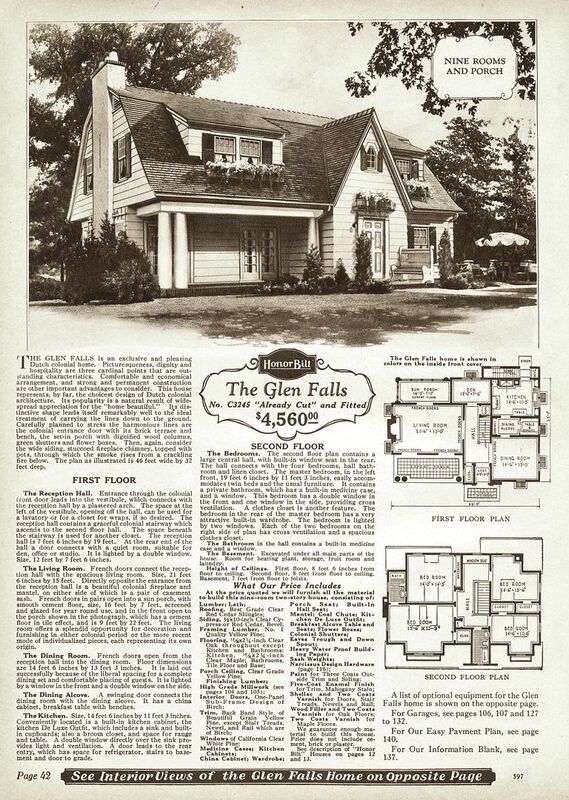 Glen Falls was one of their biggest and fanciest homes! 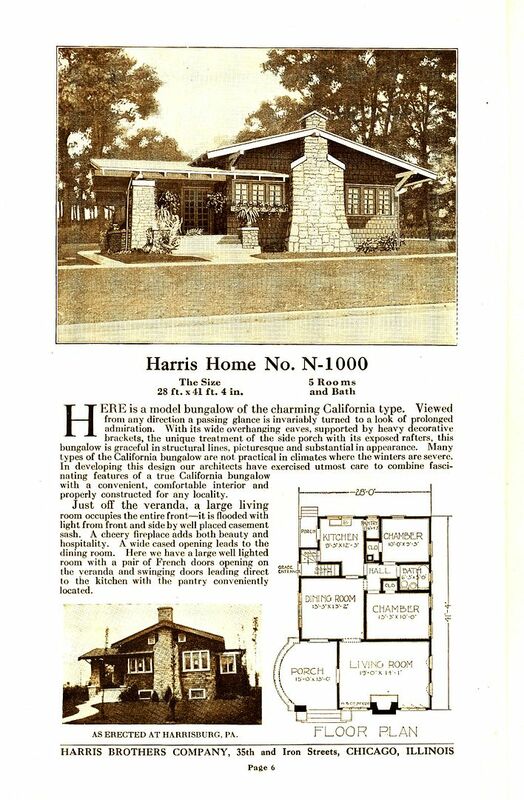 (1928 catalog). 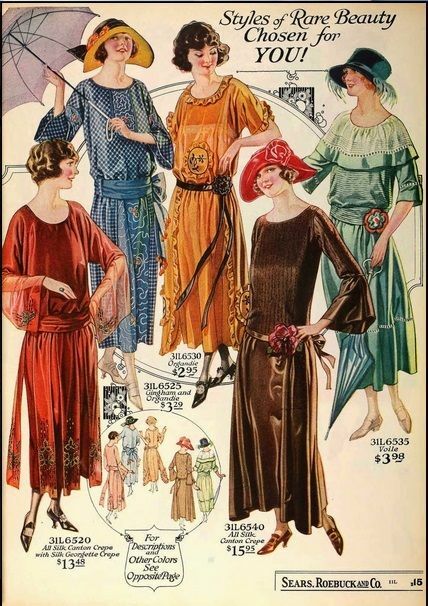 I wasn't even sure if "picturesqueness" was a real word. 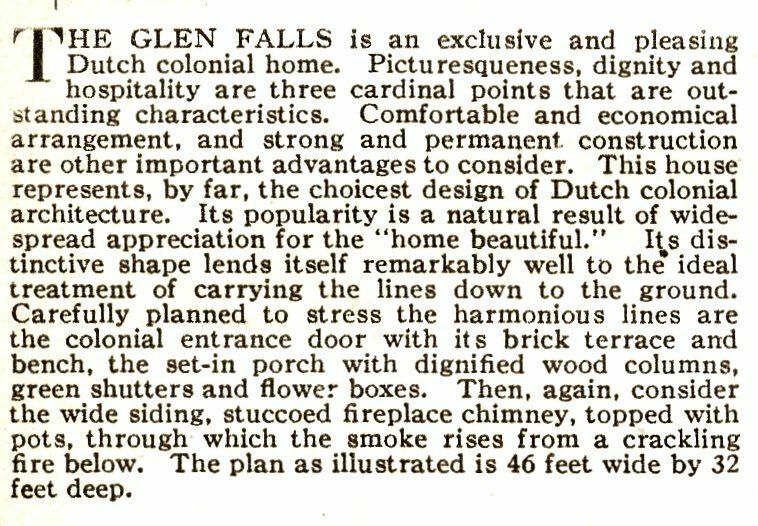 In the 1926 catalog, the Glen Falls was "featured," meaning that interior photos were shown. 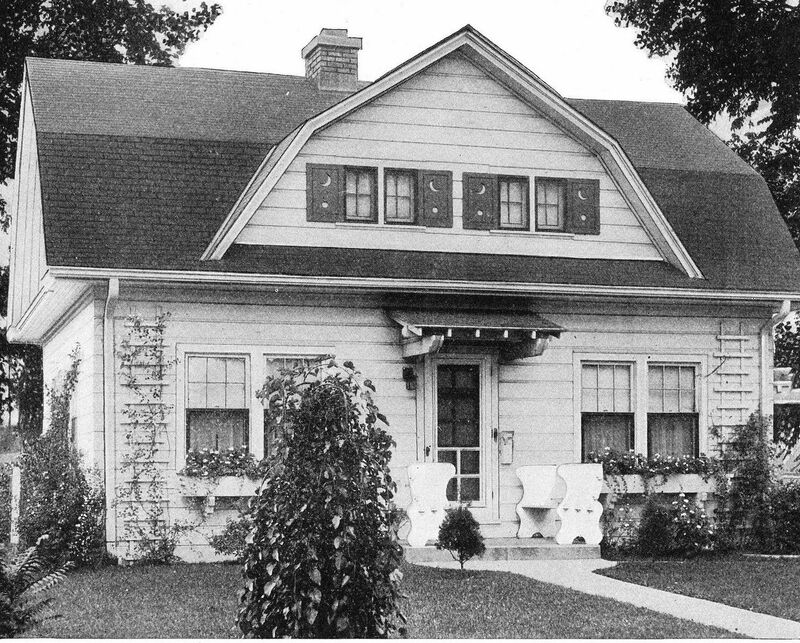 The early 20th Century iron fence is a lovely complement to the Glen Falls (Mattoon, IL). 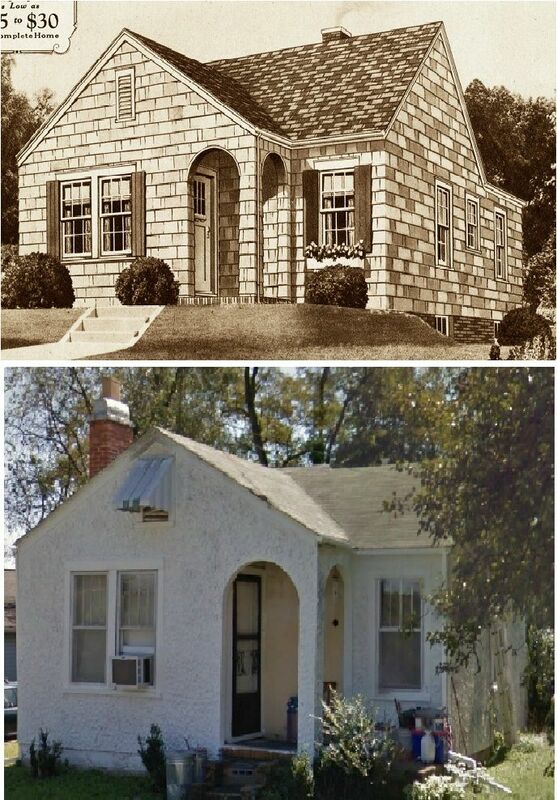 I'd love to meet the architect that thought this was a good idea. 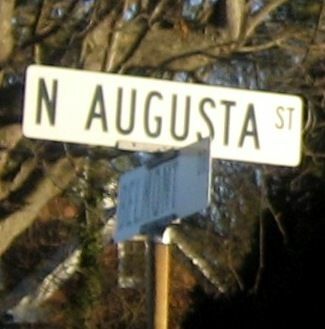 Because it's not. 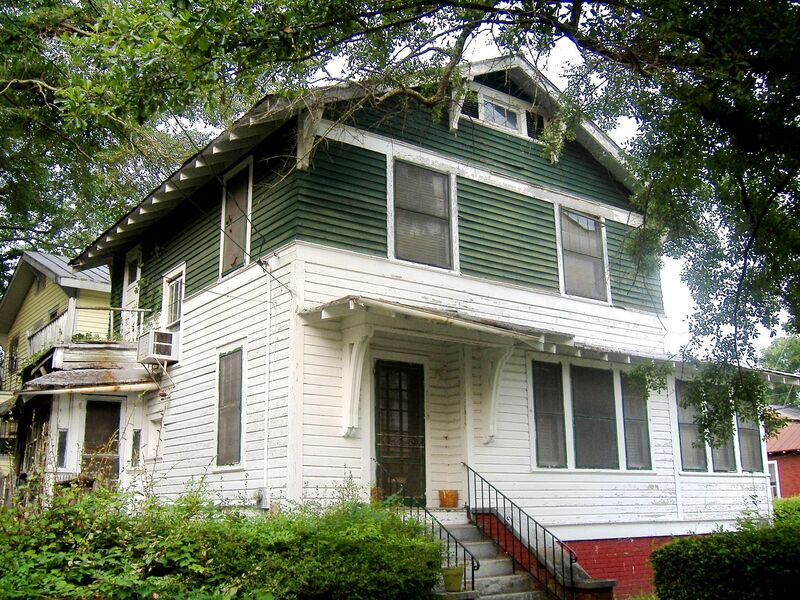 When they put this addition on, they *lost* the "picturesqueness and dignity" vote. 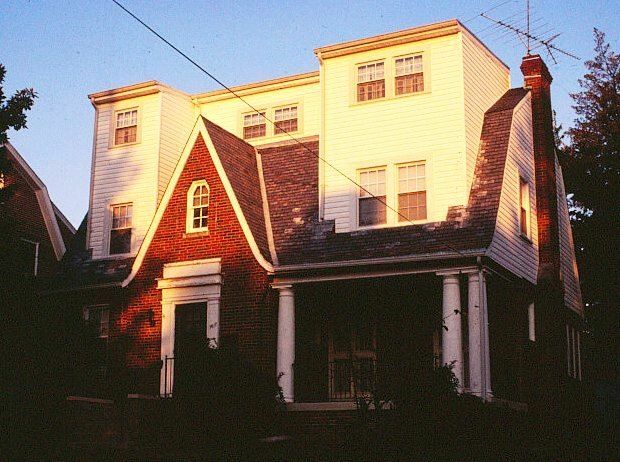 As a kid, I'd ride my bike past this house again and again and again. 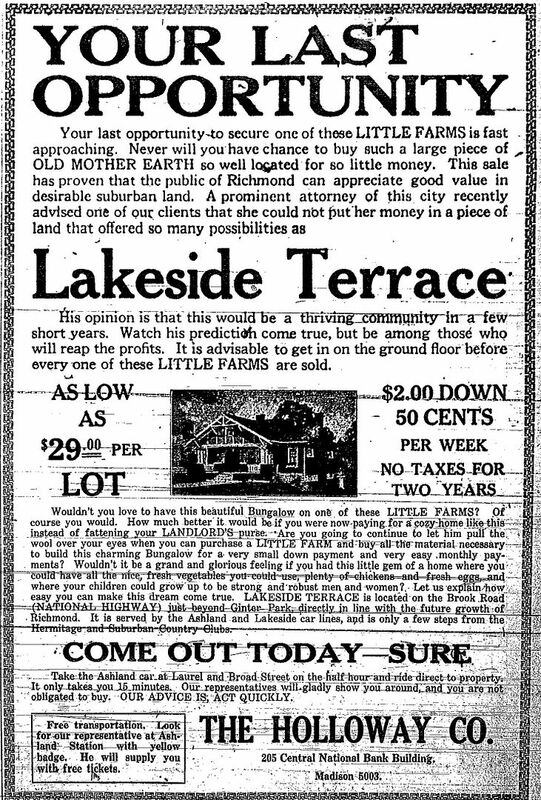 It was less than a half-mile from my childhood home (in nearby Waterview - Portsmouth, VA). 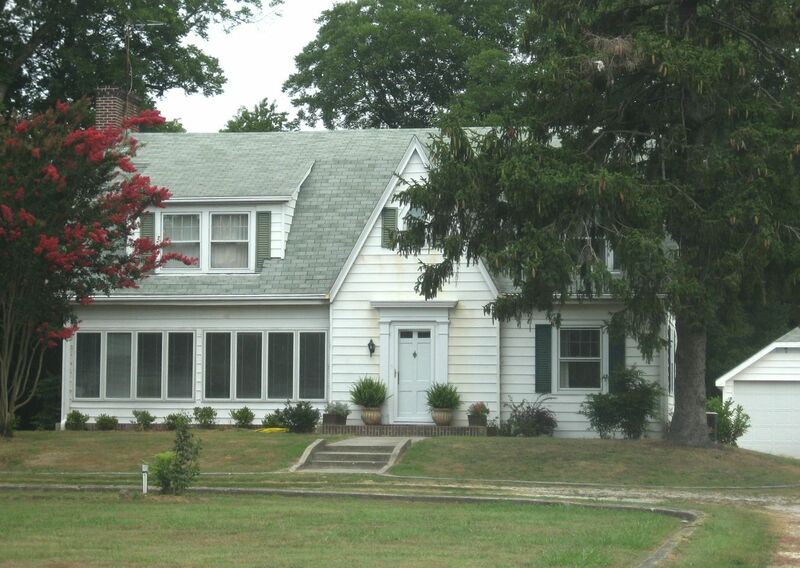 I've always loved this house, and was delighted to discover that it was a Sears Glen Falls! 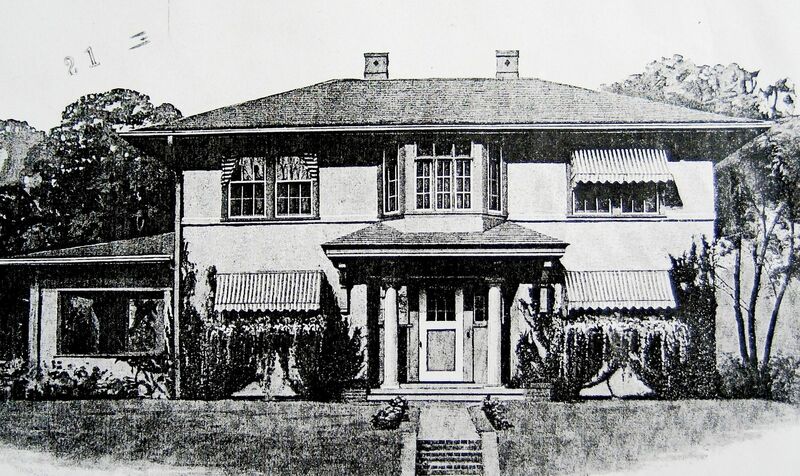 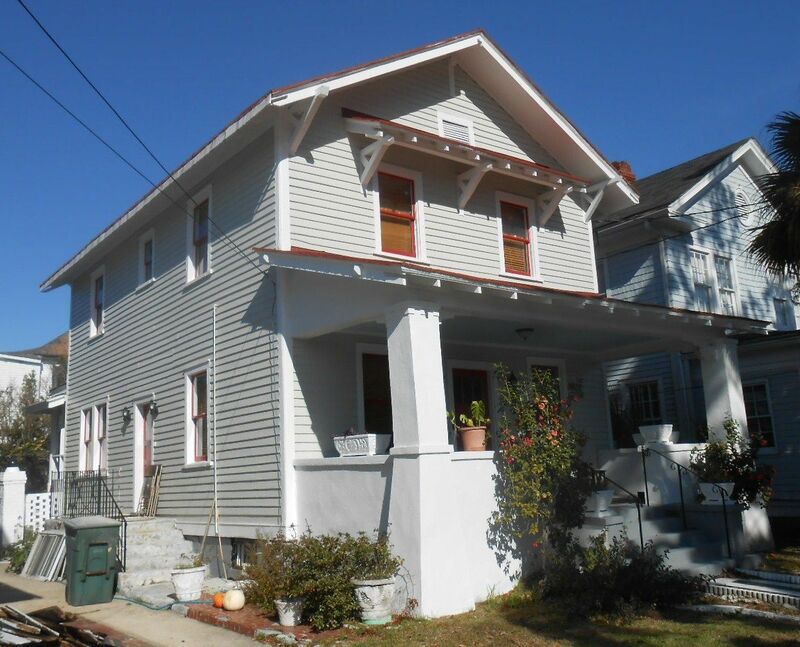 The porch has been enclosed, but inside, those tall columns (shown in the catalog) are still in place. 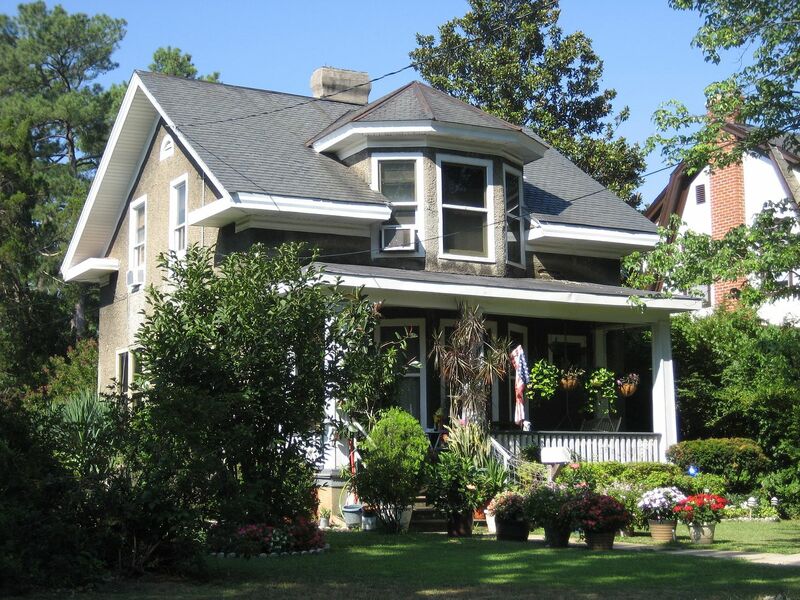 Cape Charles, Virginia (Eastern Shore) is one of my favorite places. 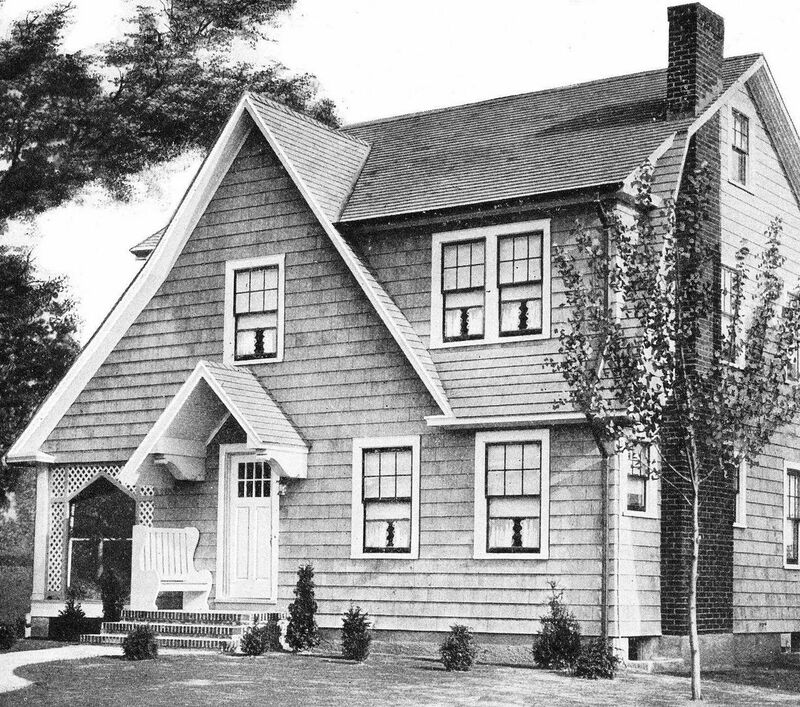 This Glen Falls (and a host of other Sears Homes) is located there. 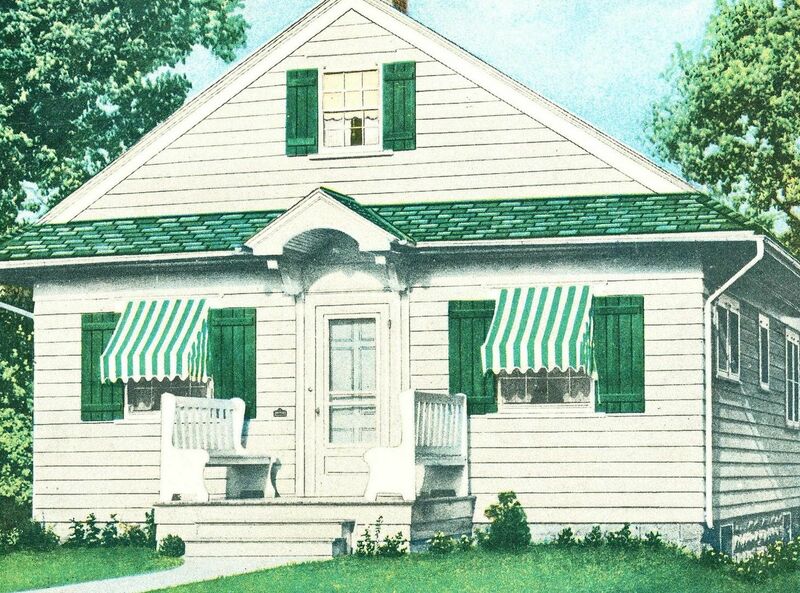 To learn more about Rose’s newest book, click here.